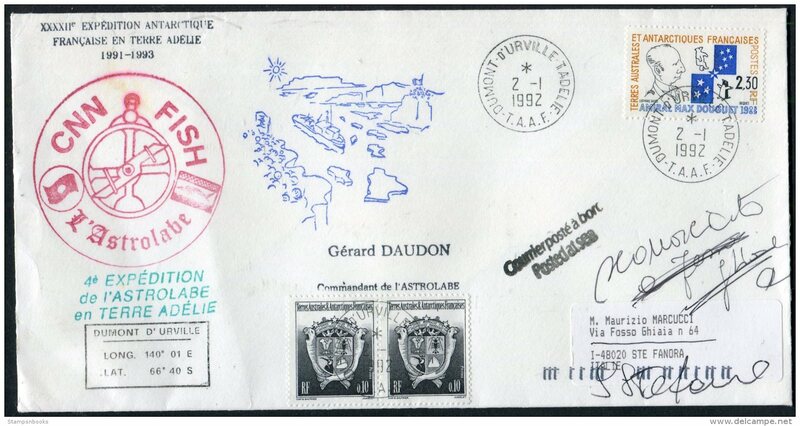 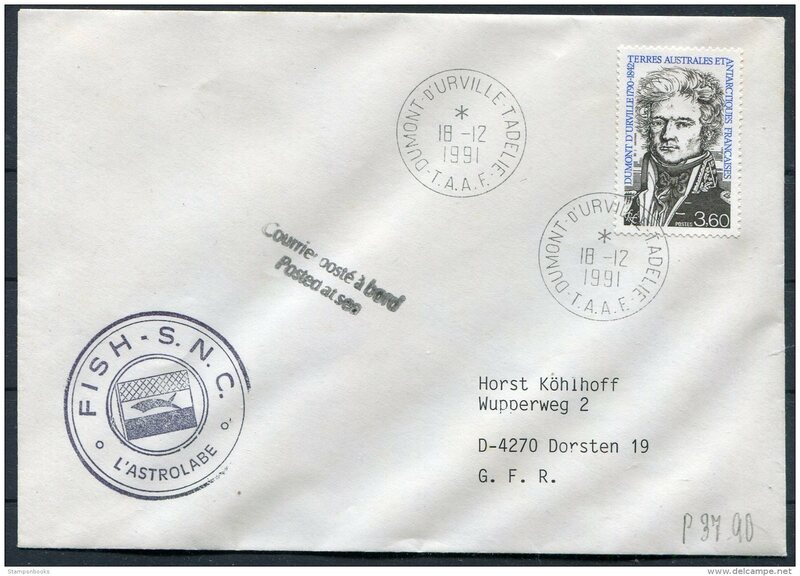 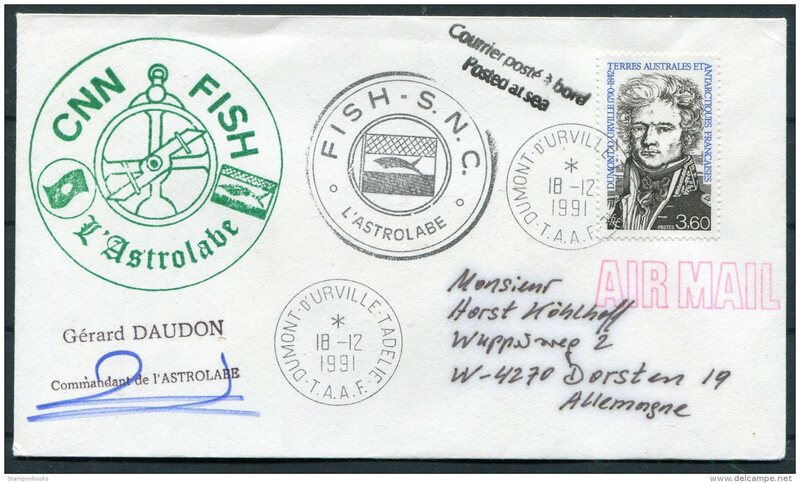 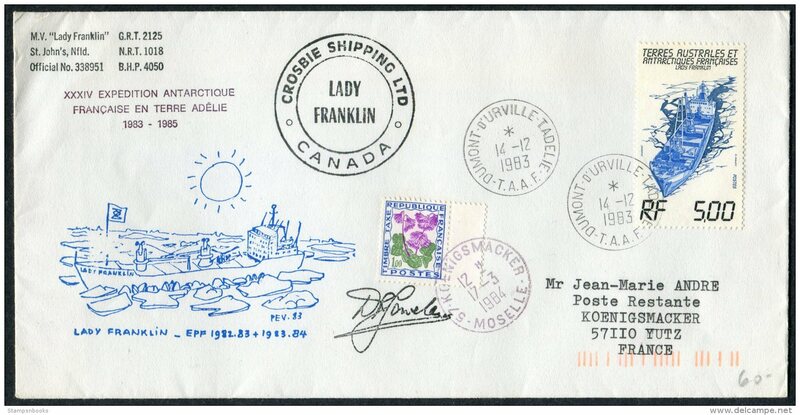 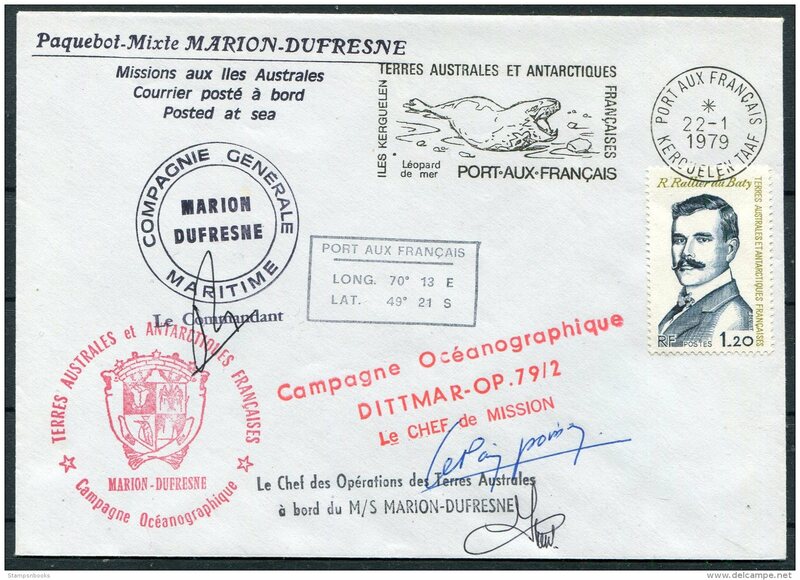 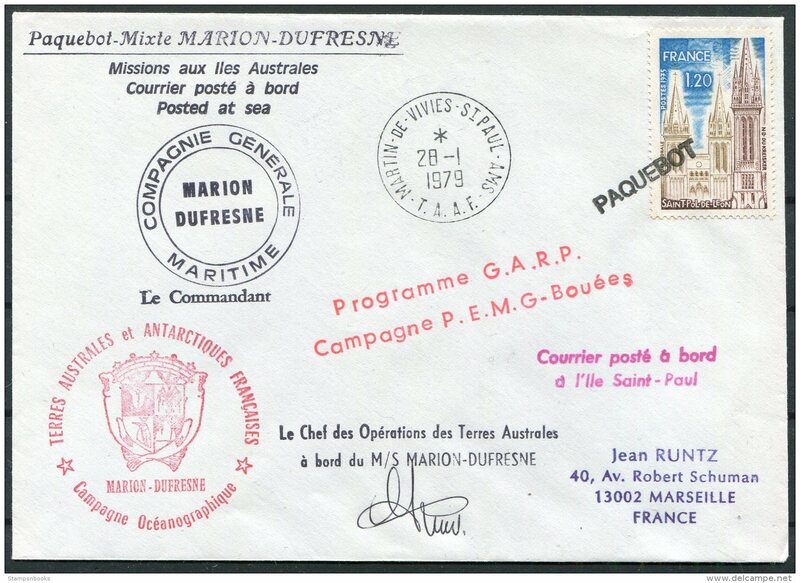 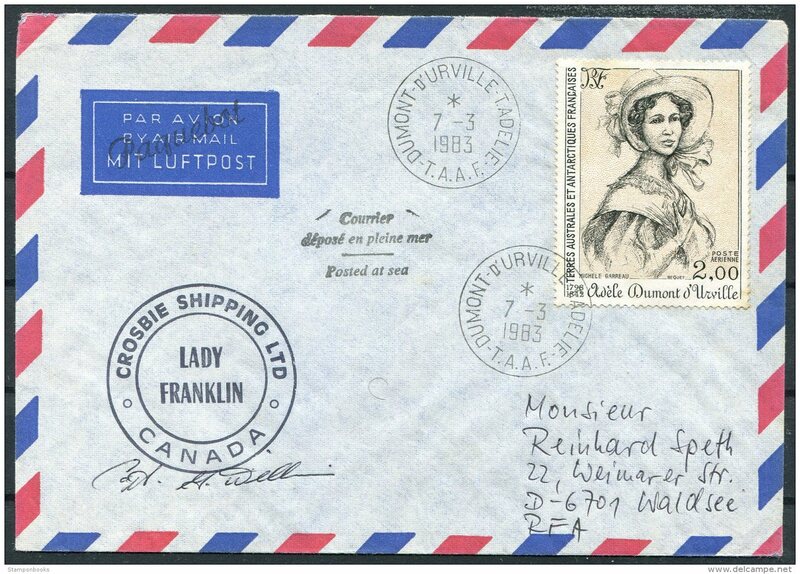 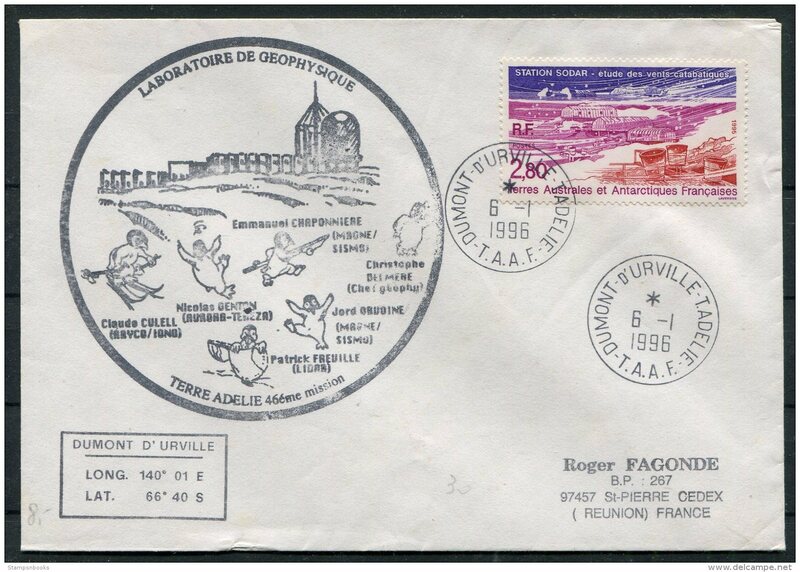 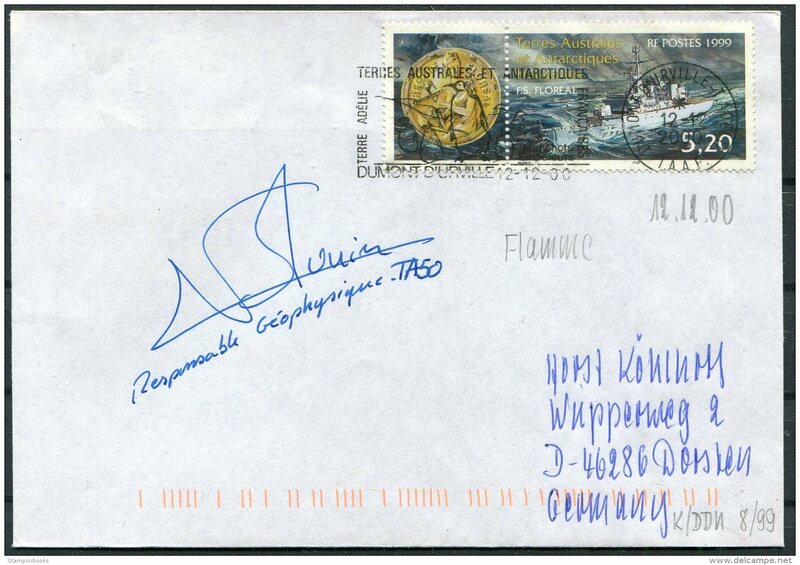 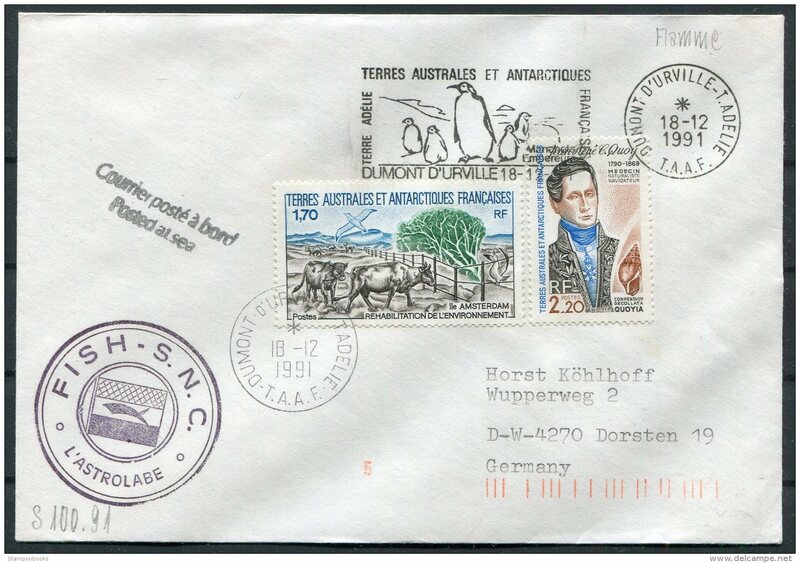 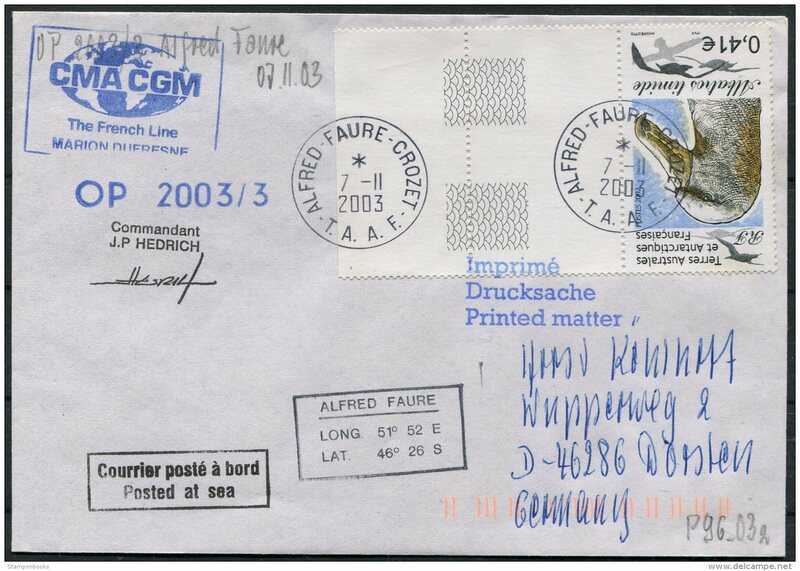 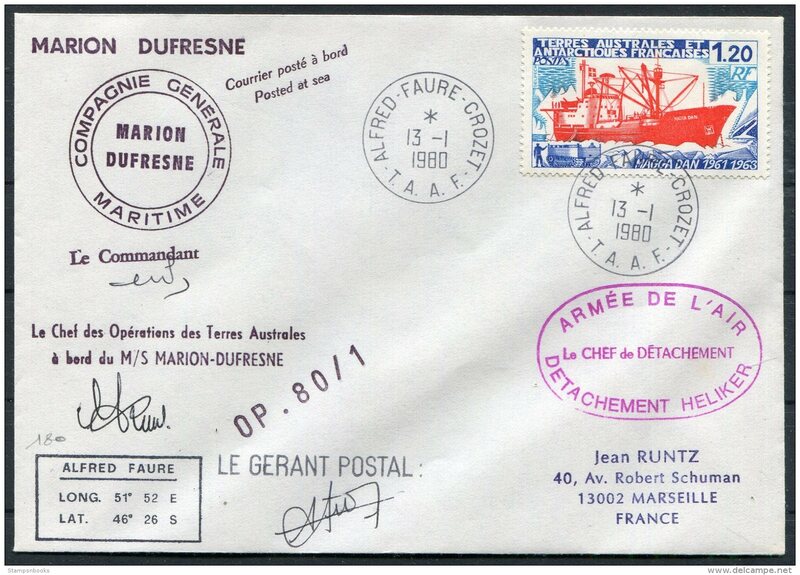 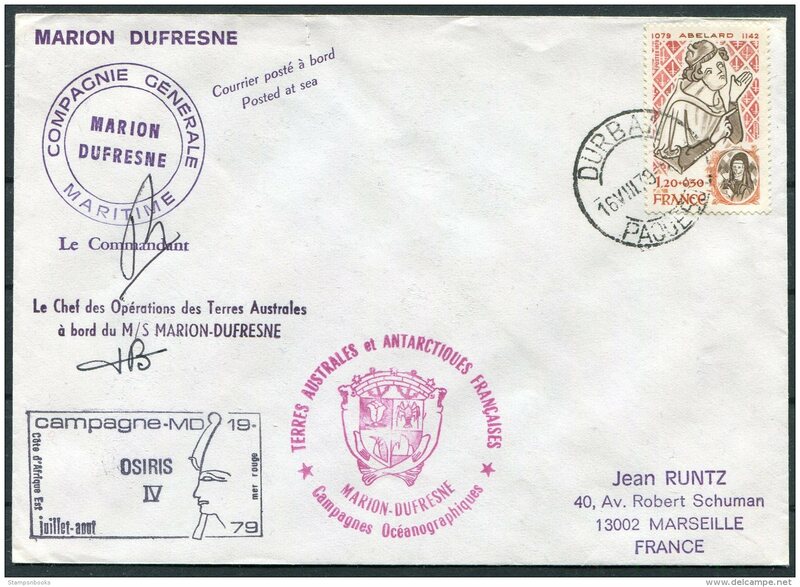 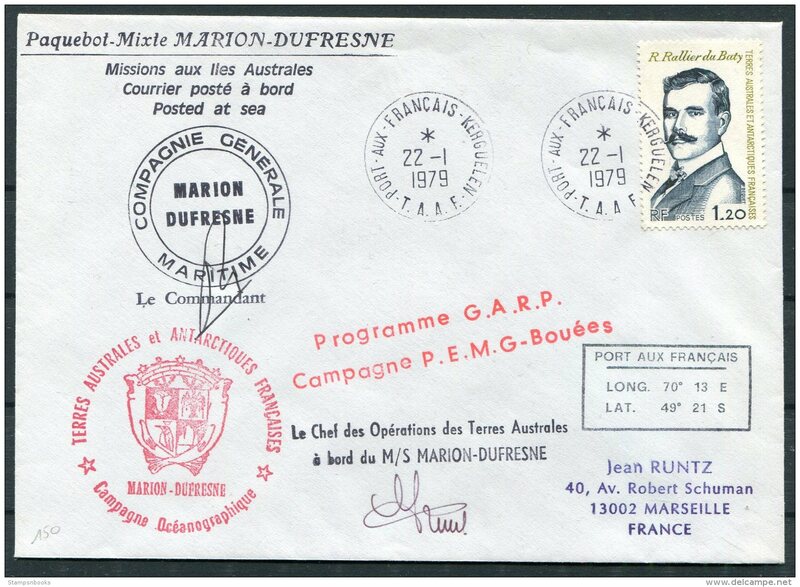 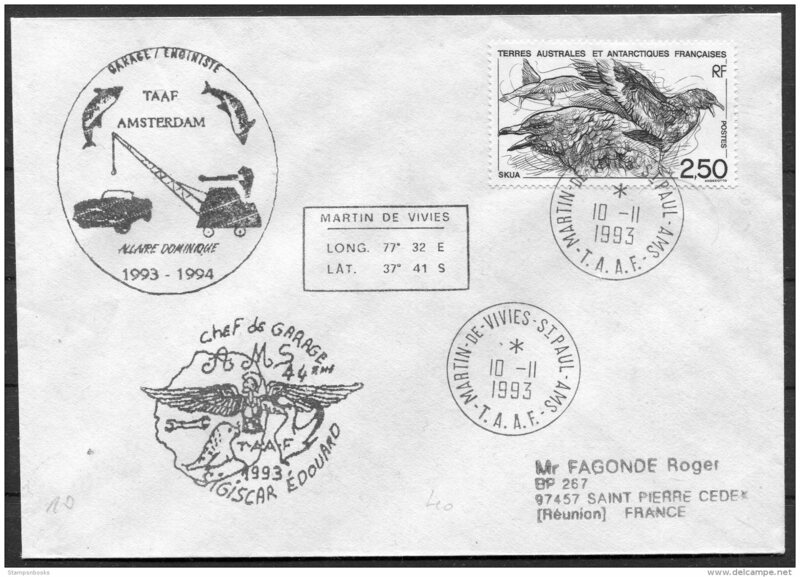 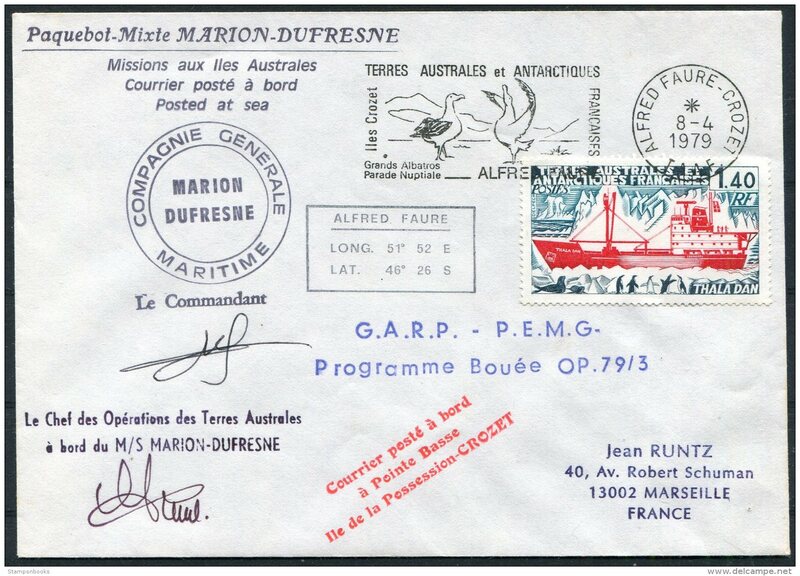 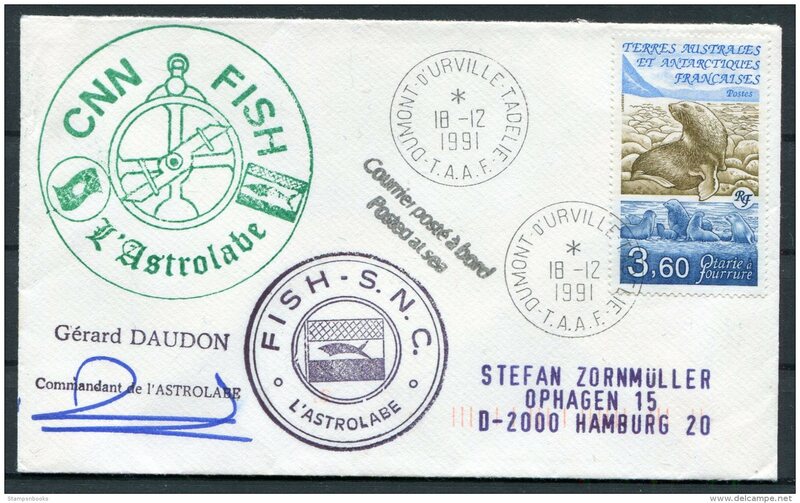 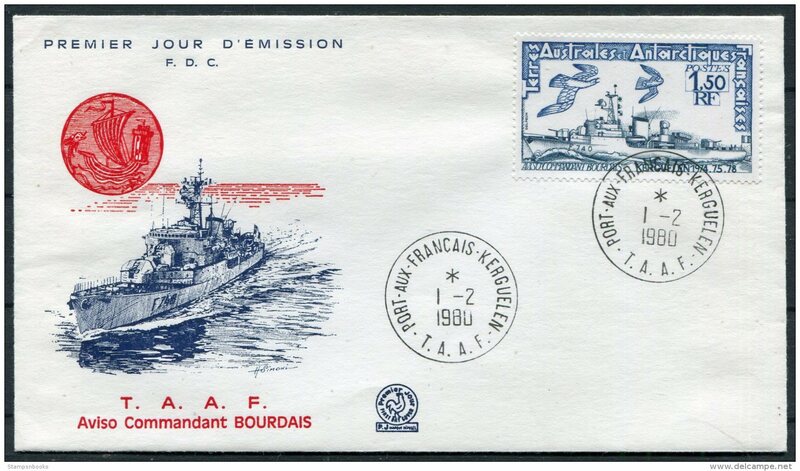 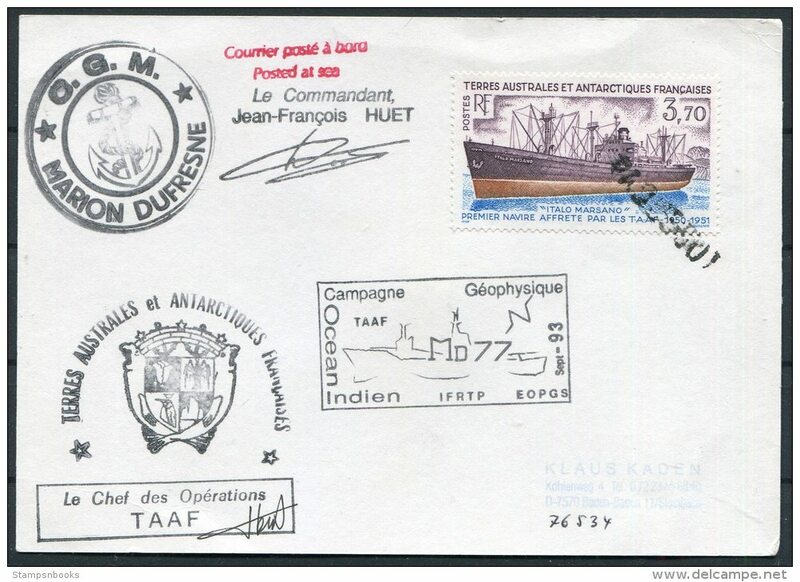 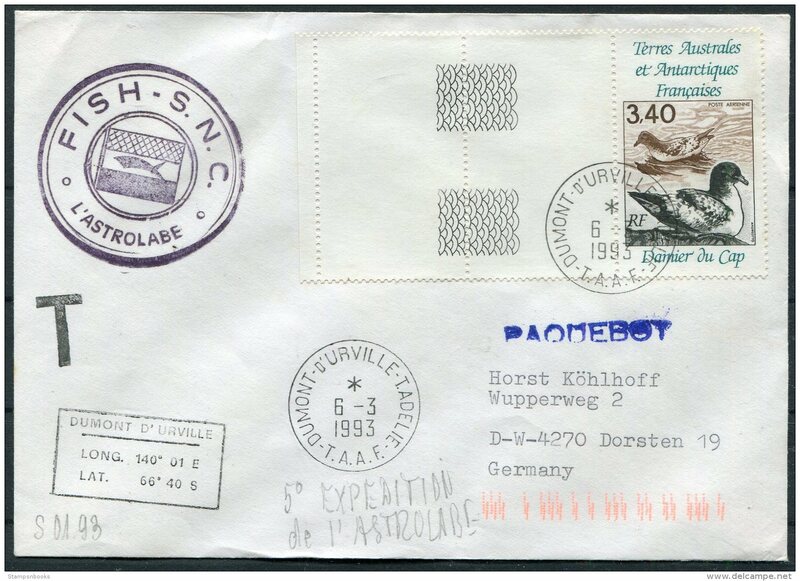 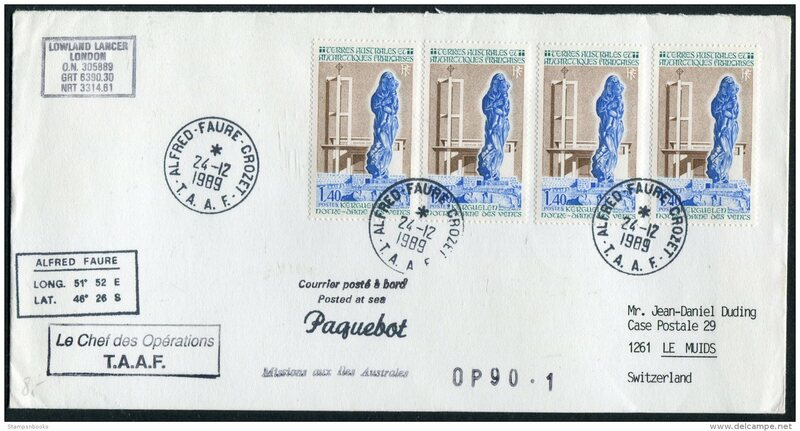 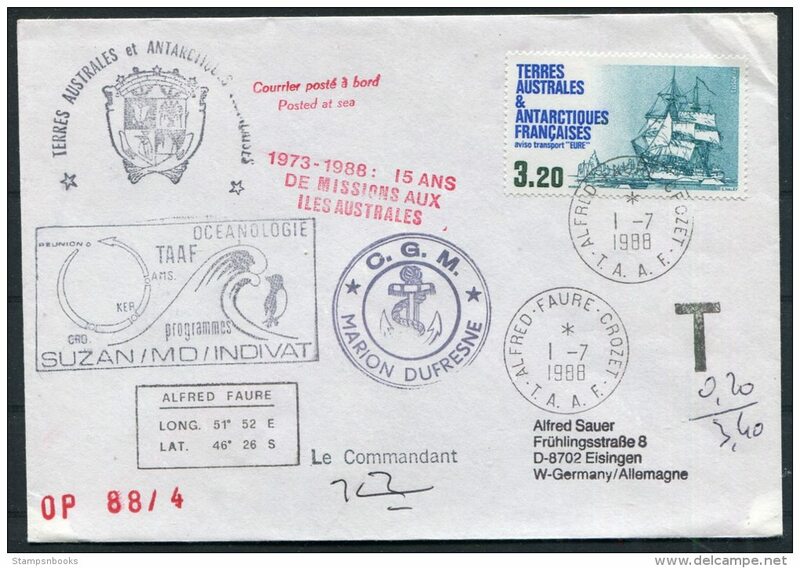 1979 TAAF Antarctic Alfred Faure Paquebot Marion Dufresne Ship cover. 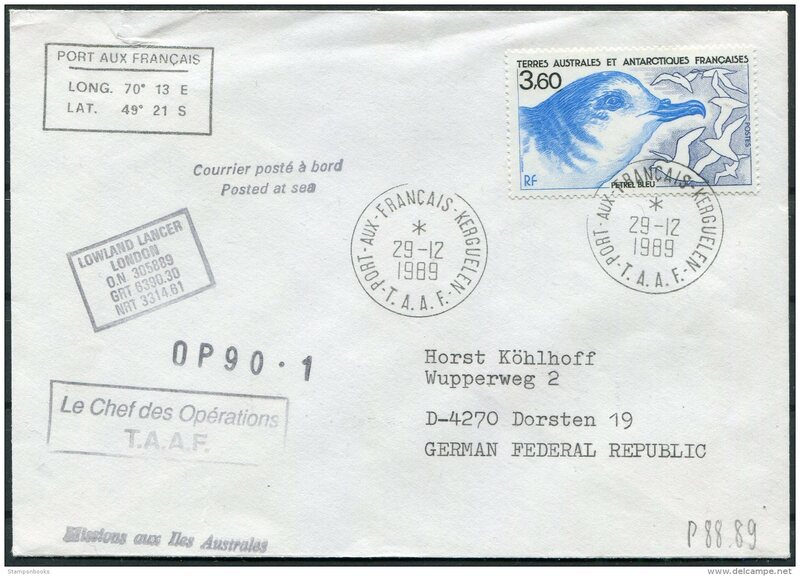 Albatros G.A.R.P. 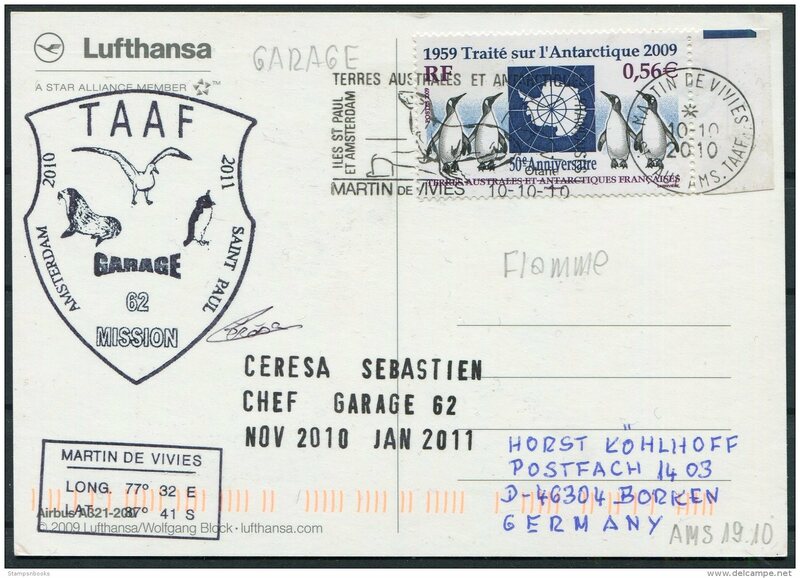 2003 T.A.A.F. 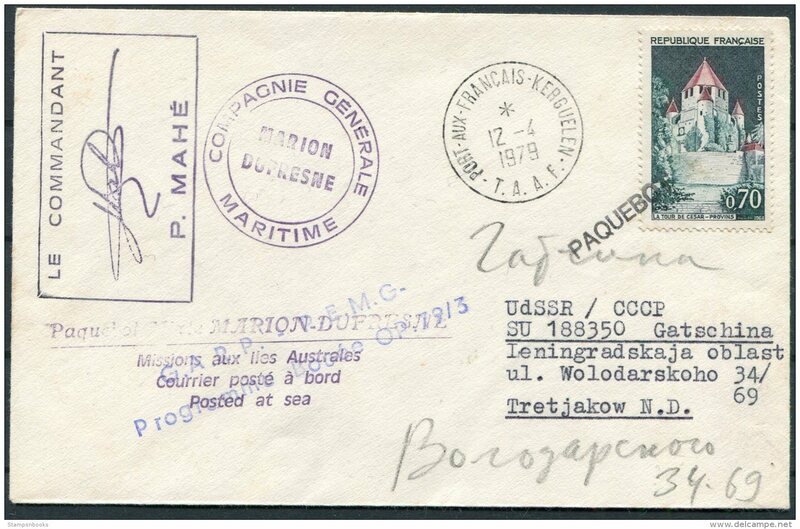 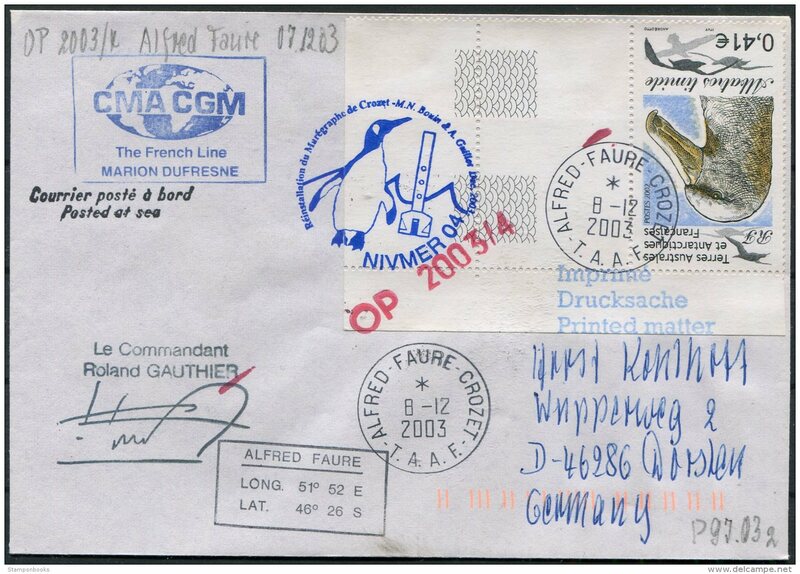 French Antarctic Polar, Alfred Faure Crozet cover. 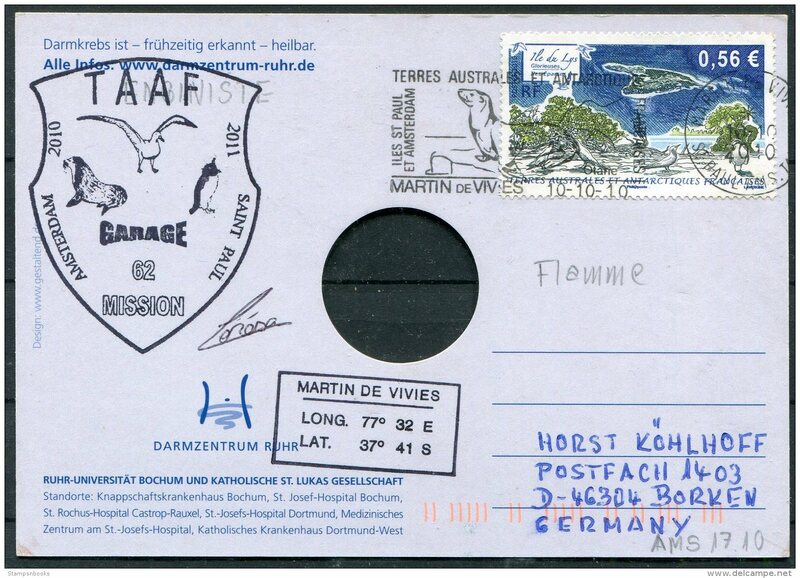 1998 T.A.A.F. 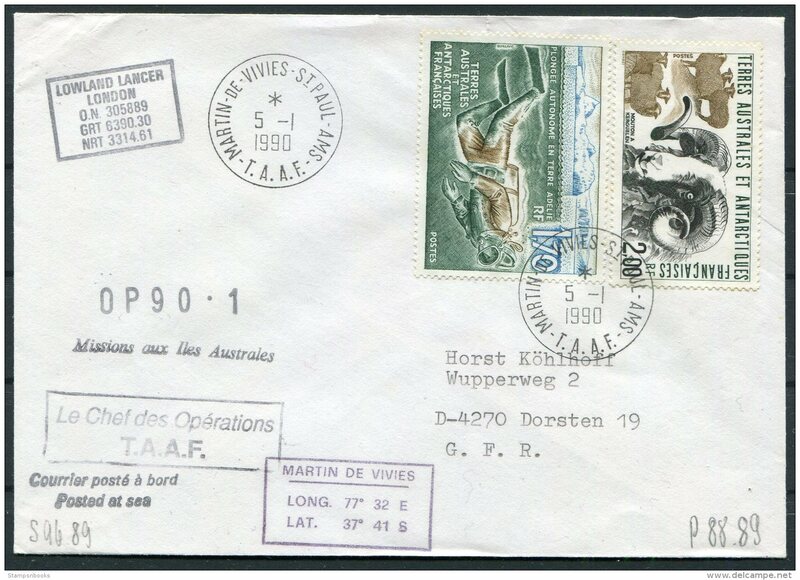 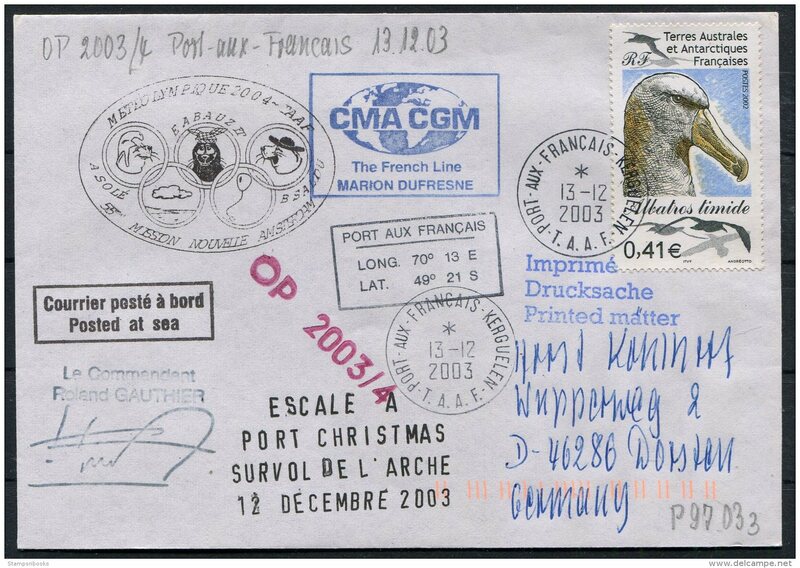 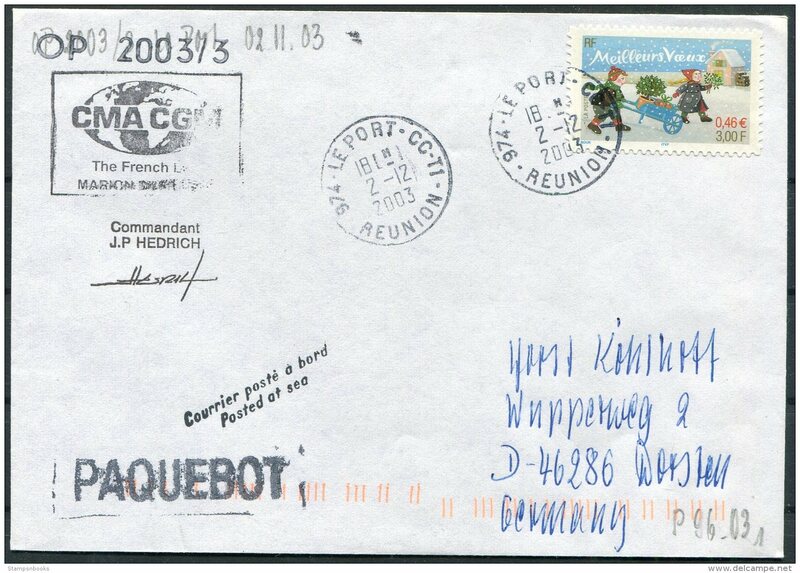 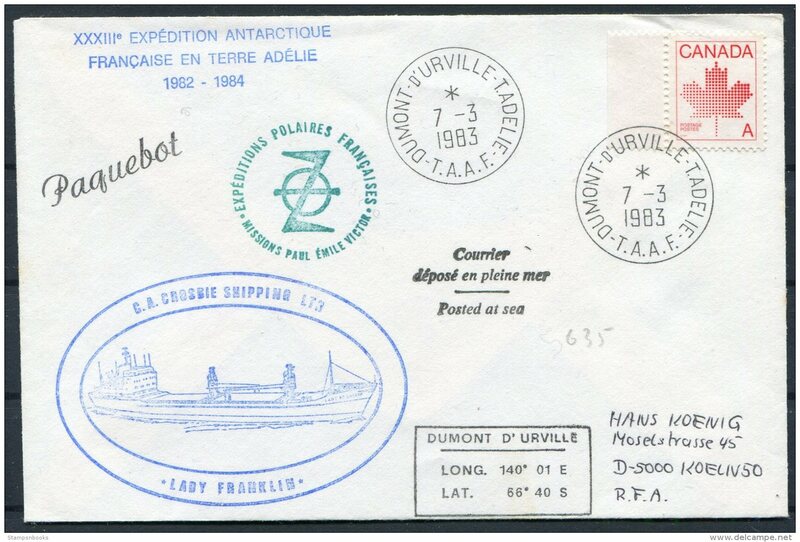 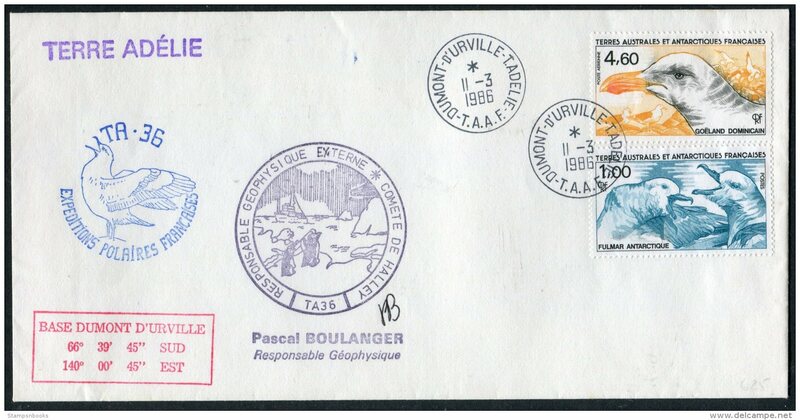 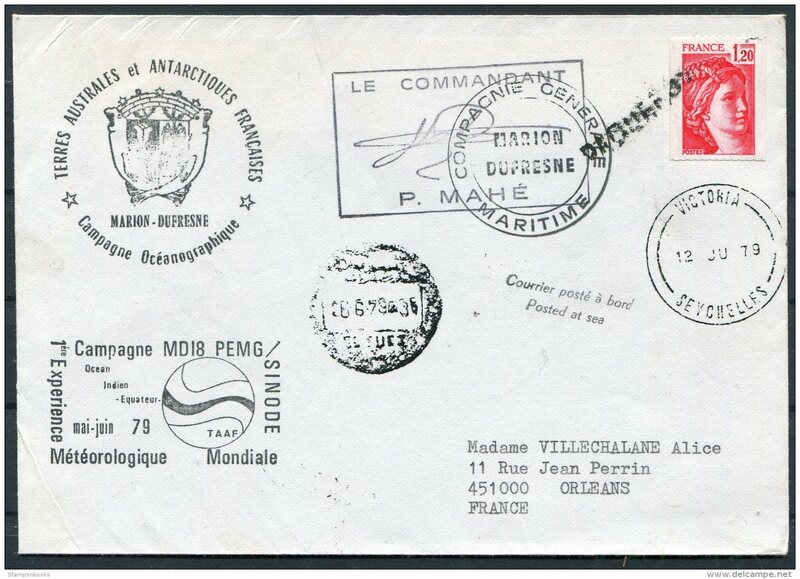 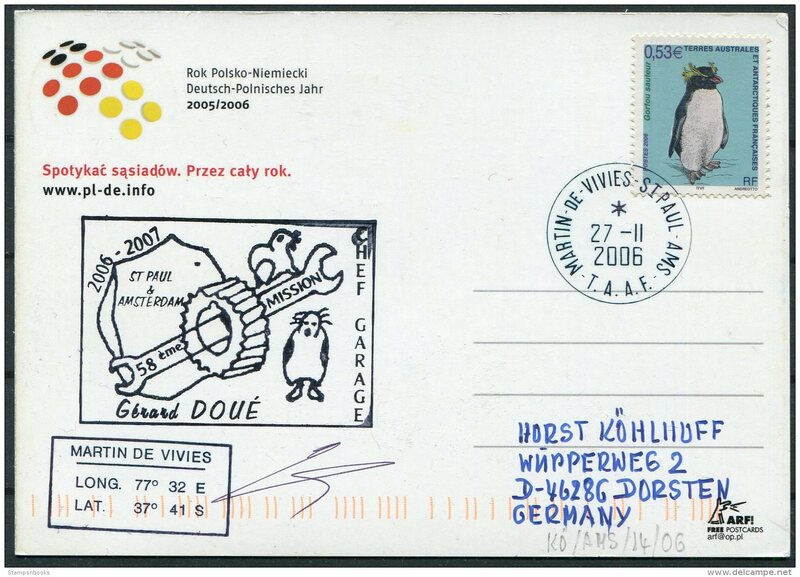 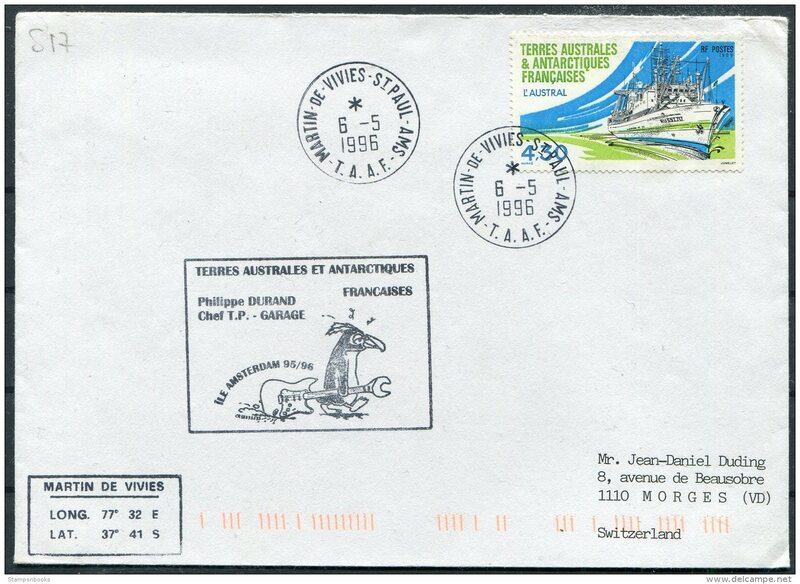 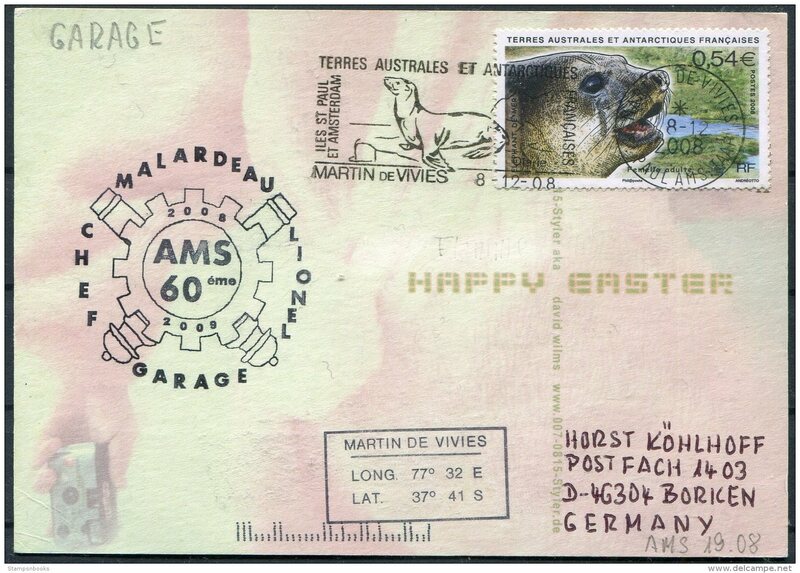 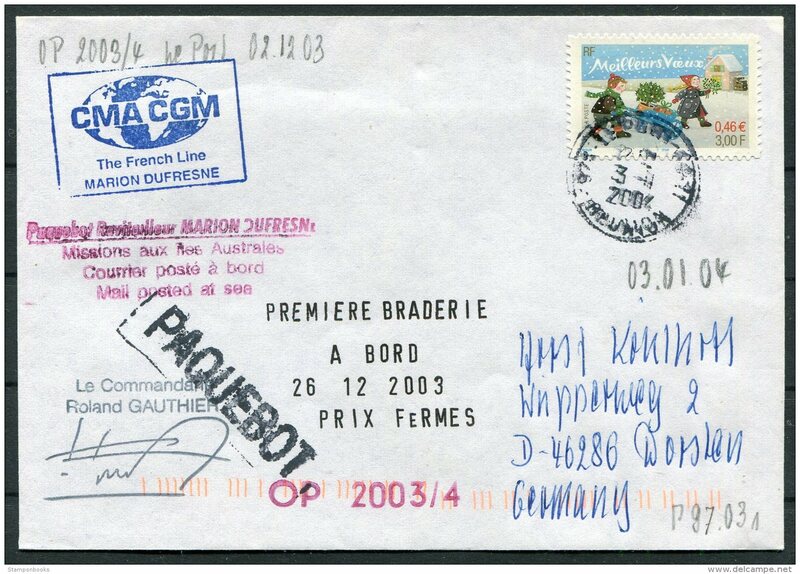 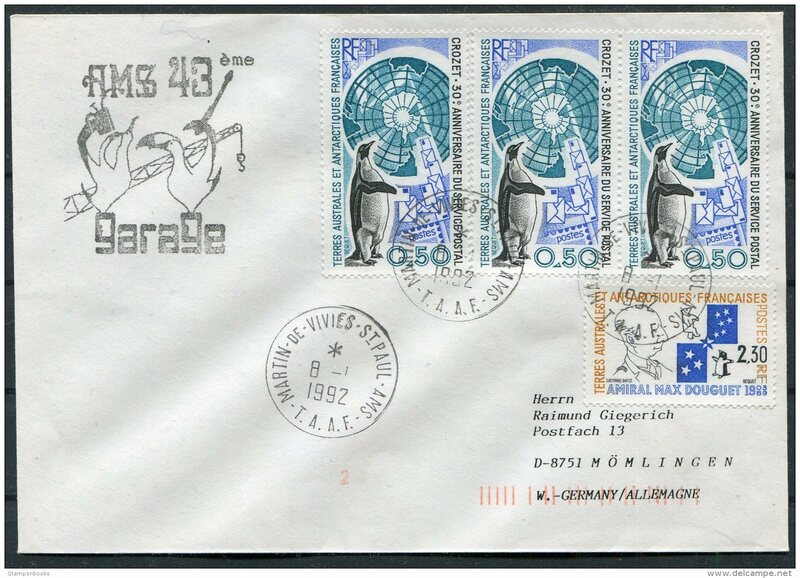 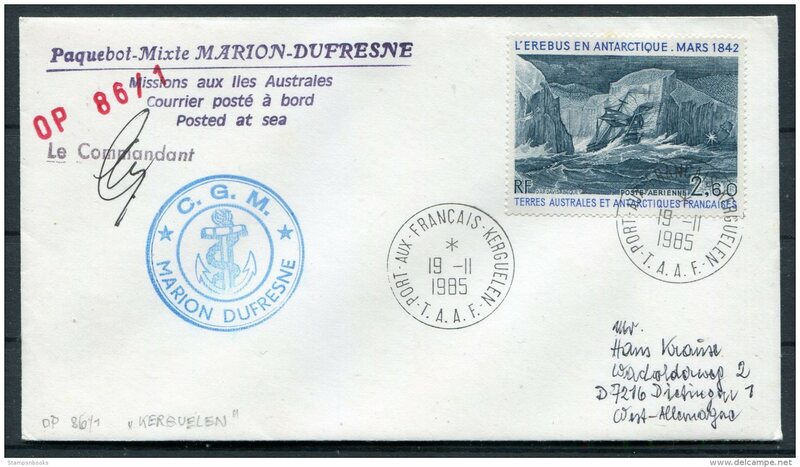 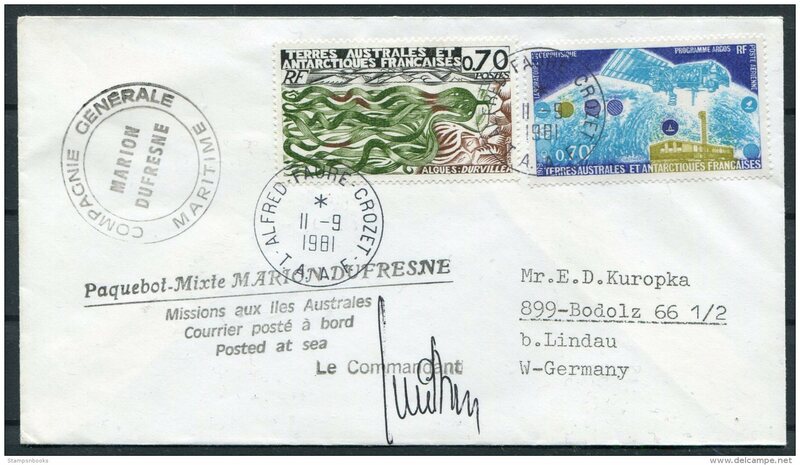 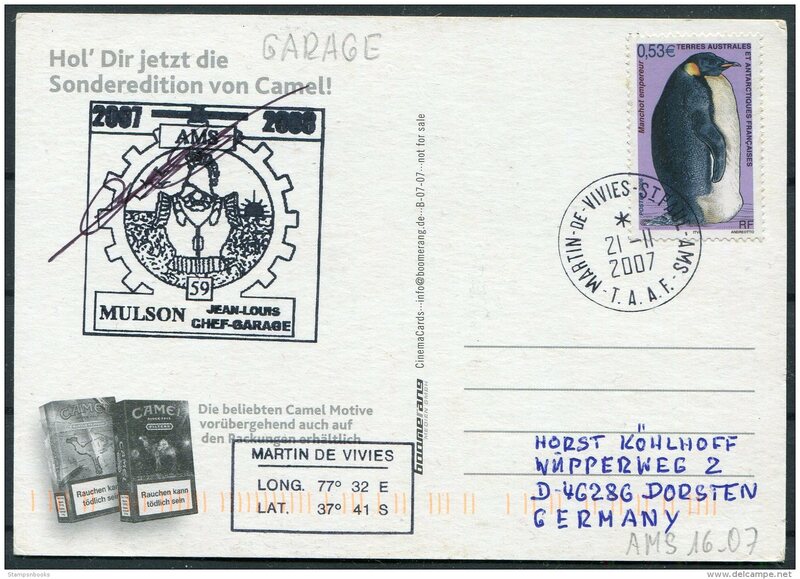 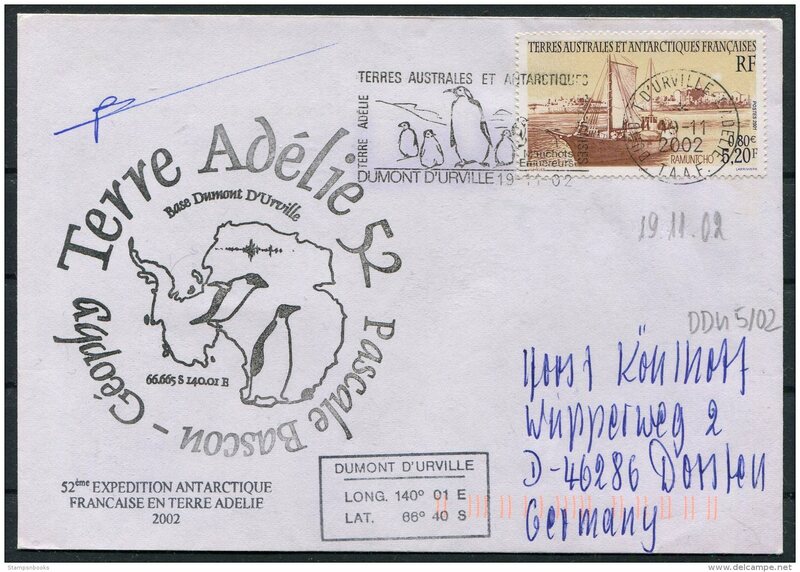 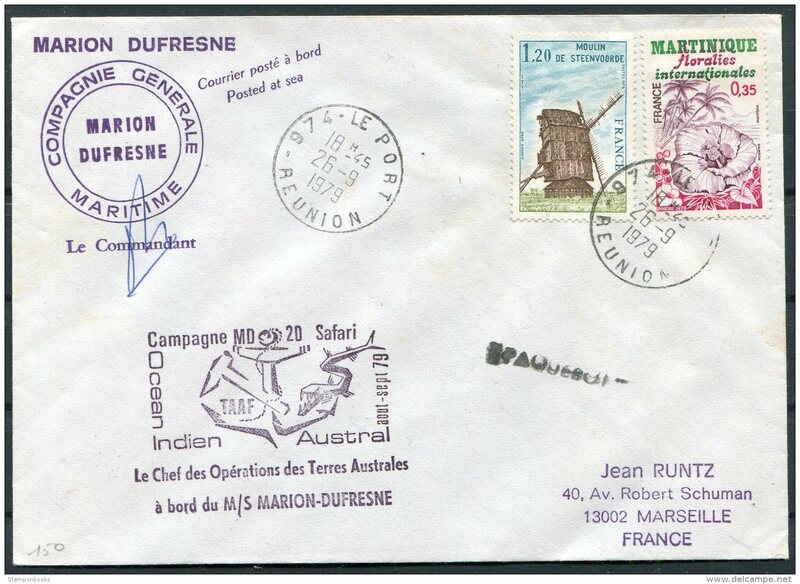 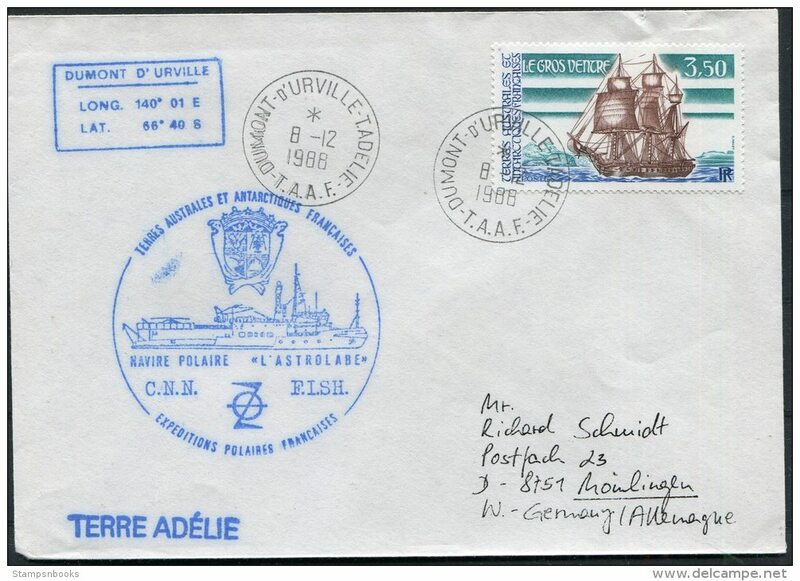 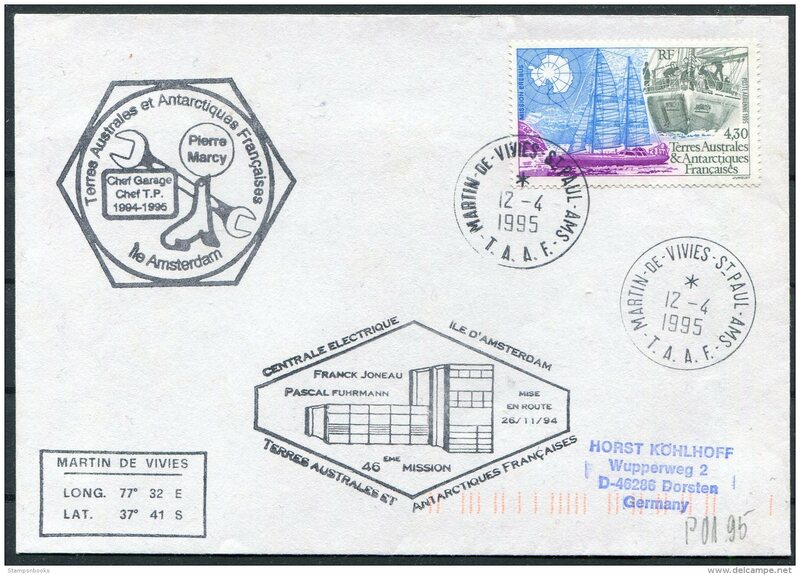 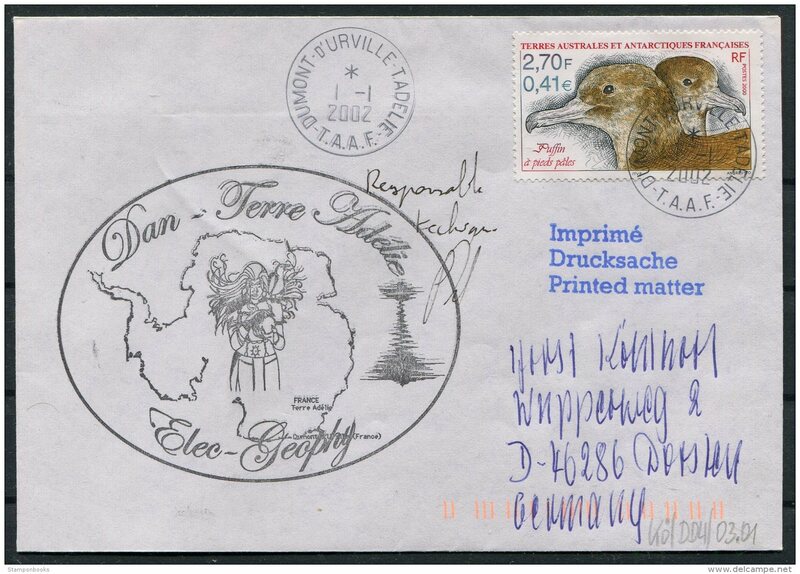 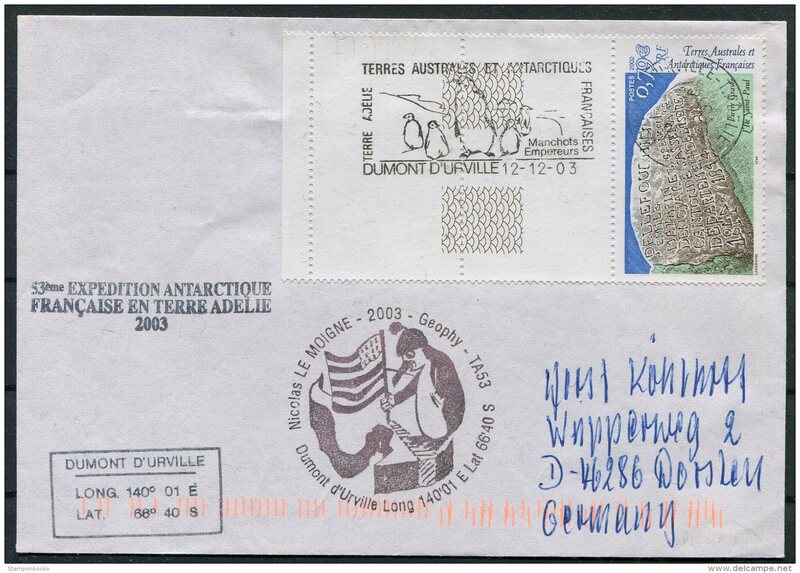 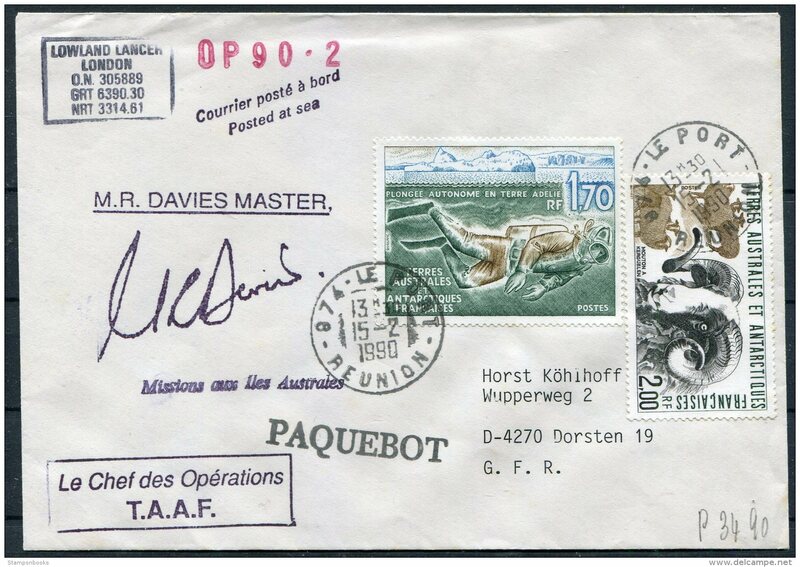 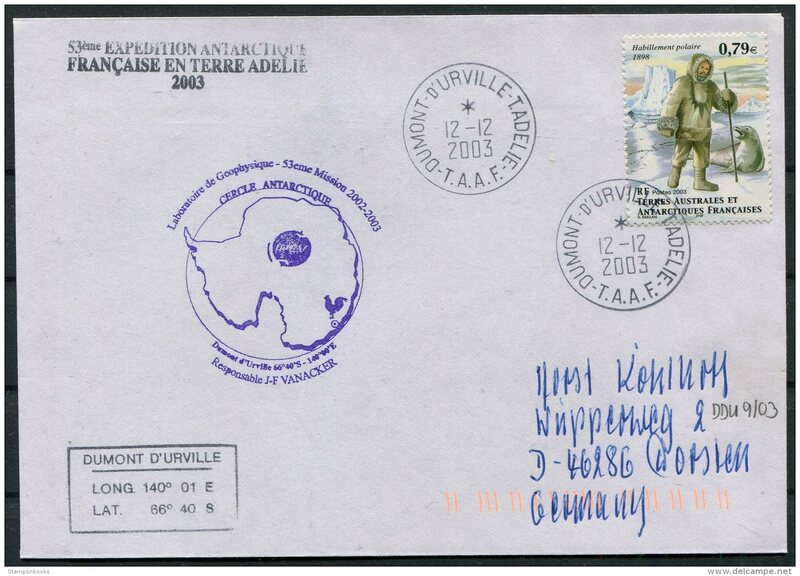 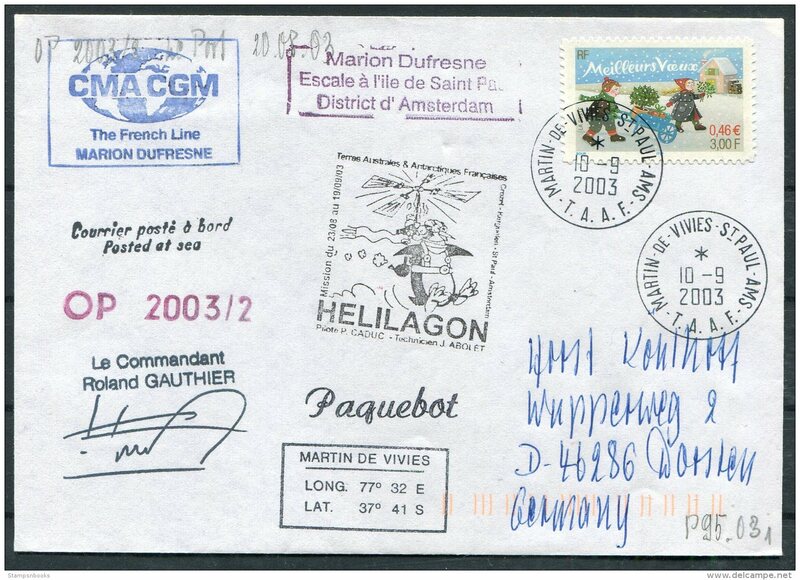 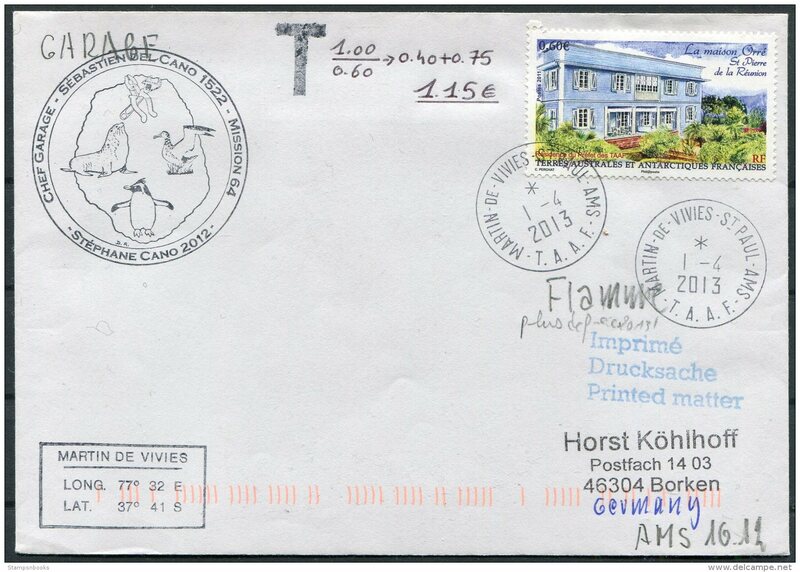 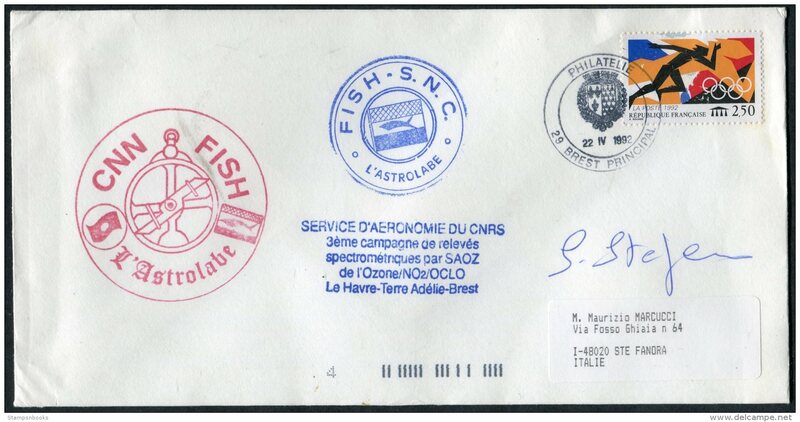 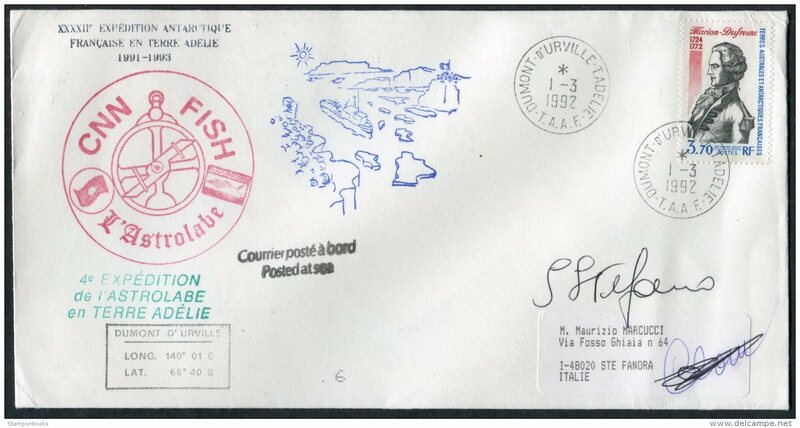 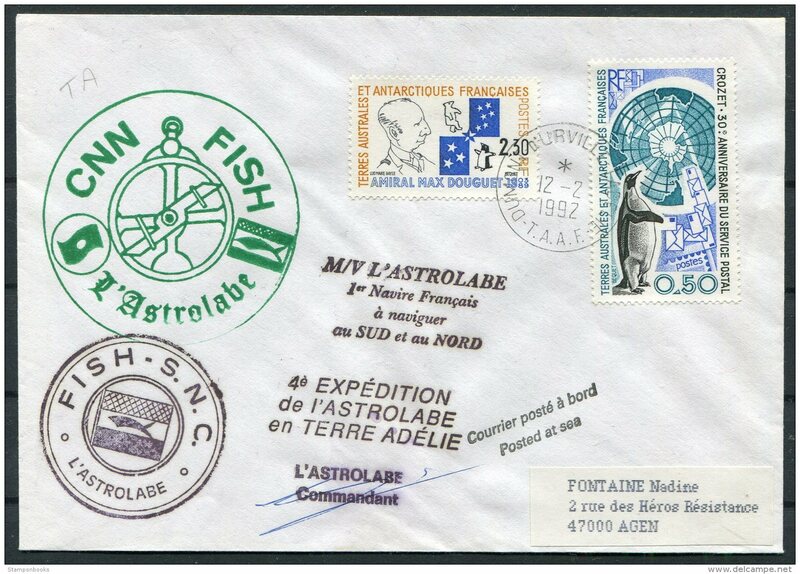 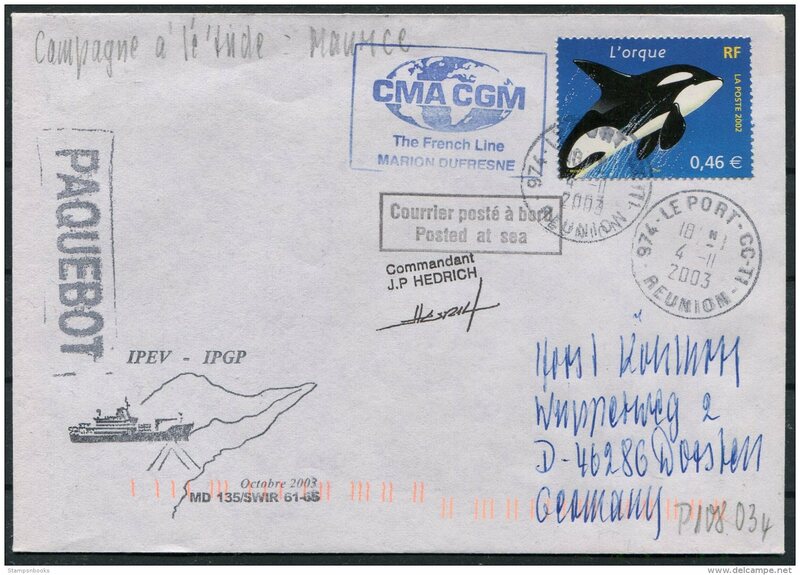 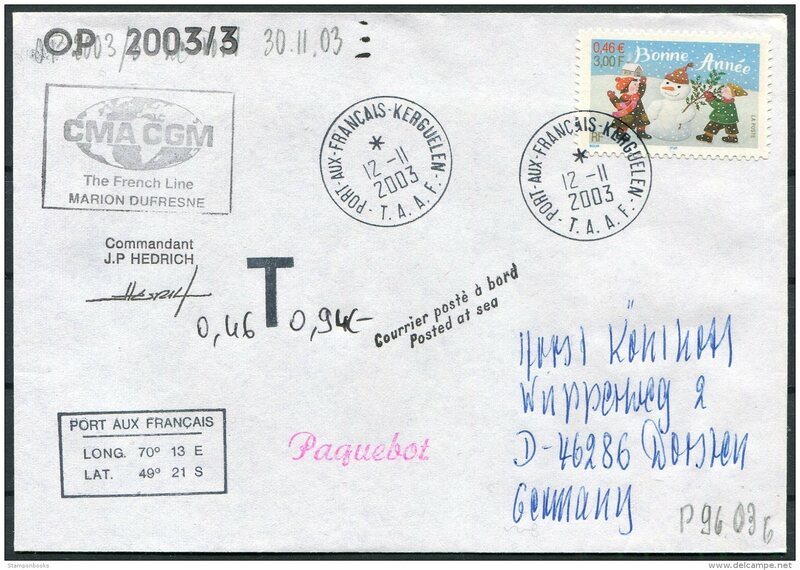 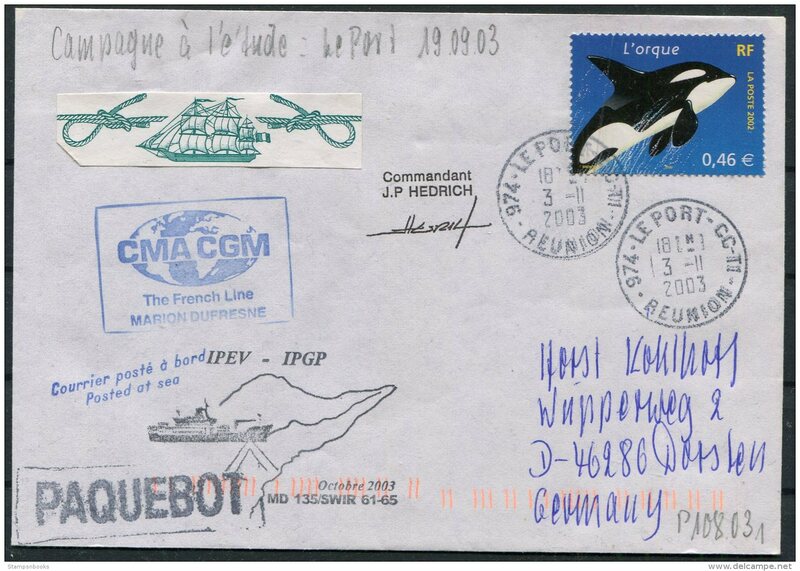 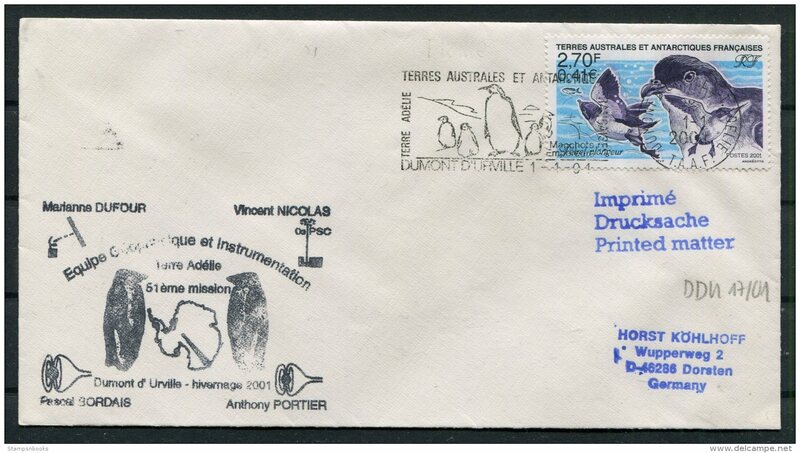 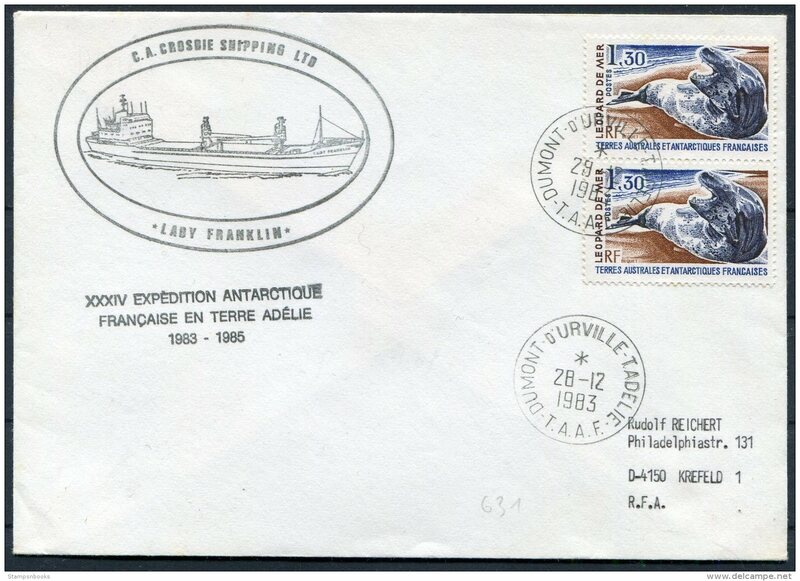 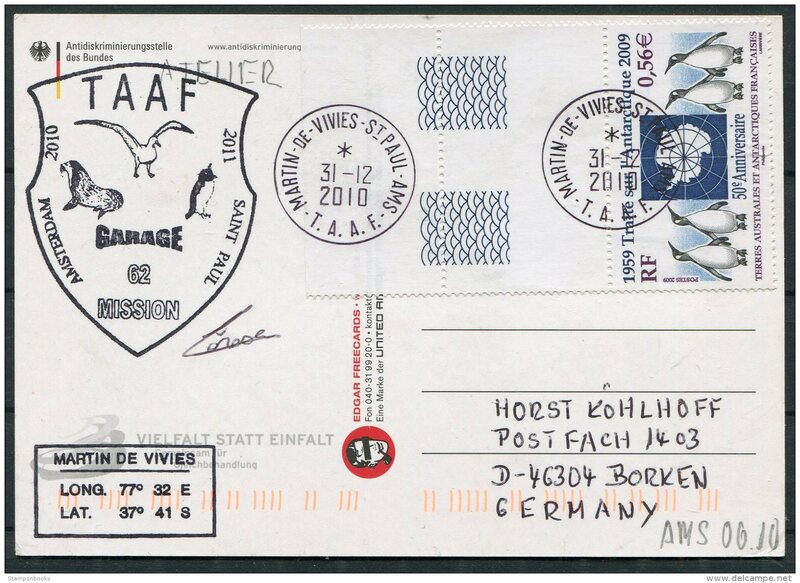 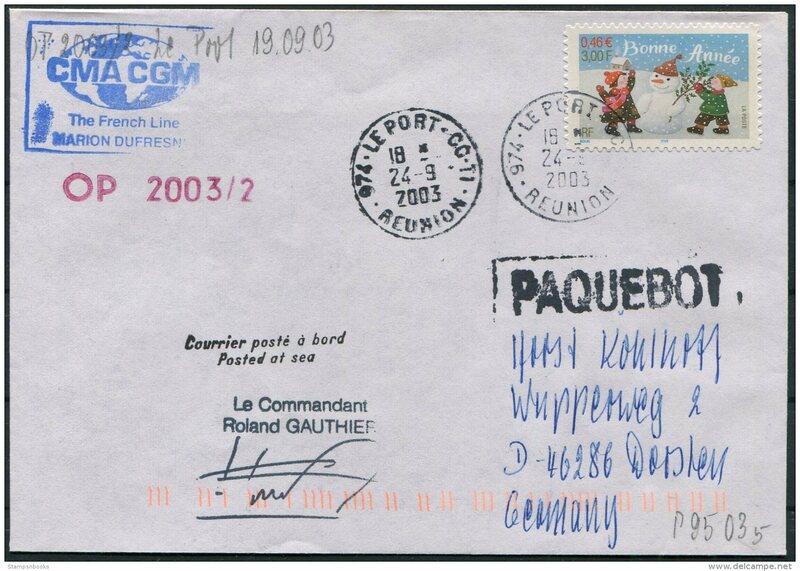 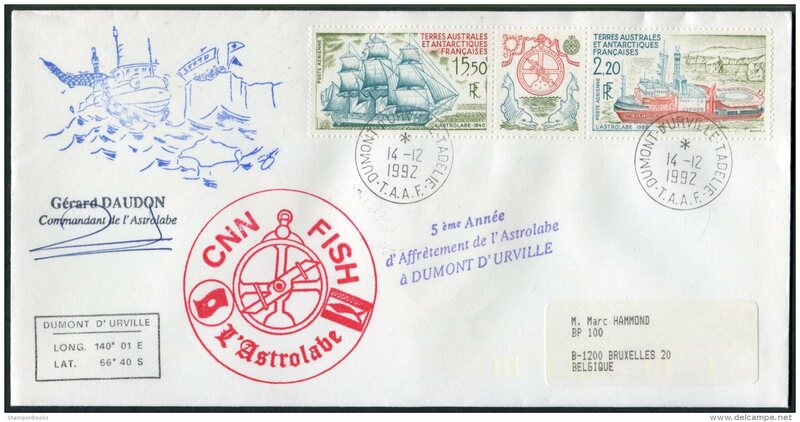 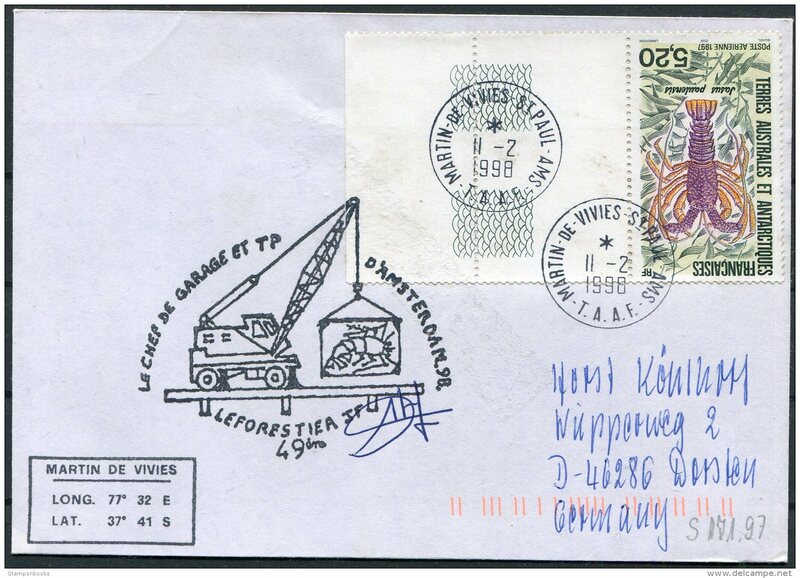 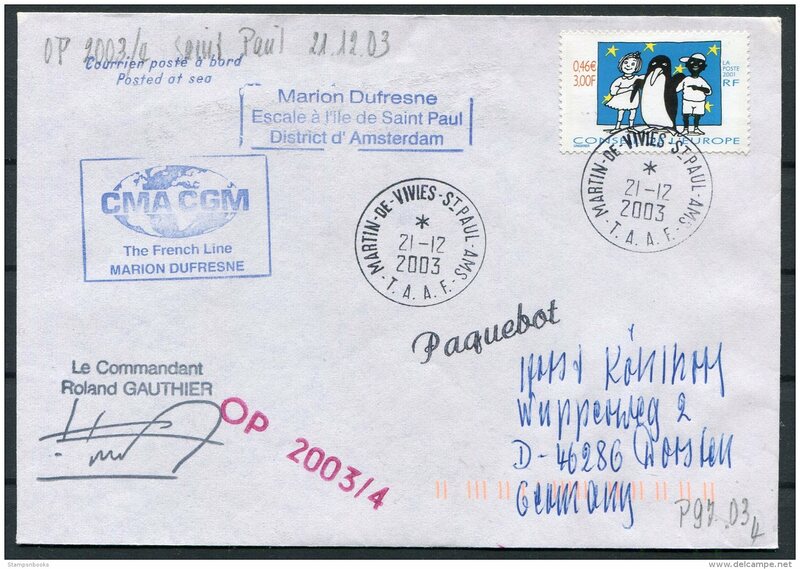 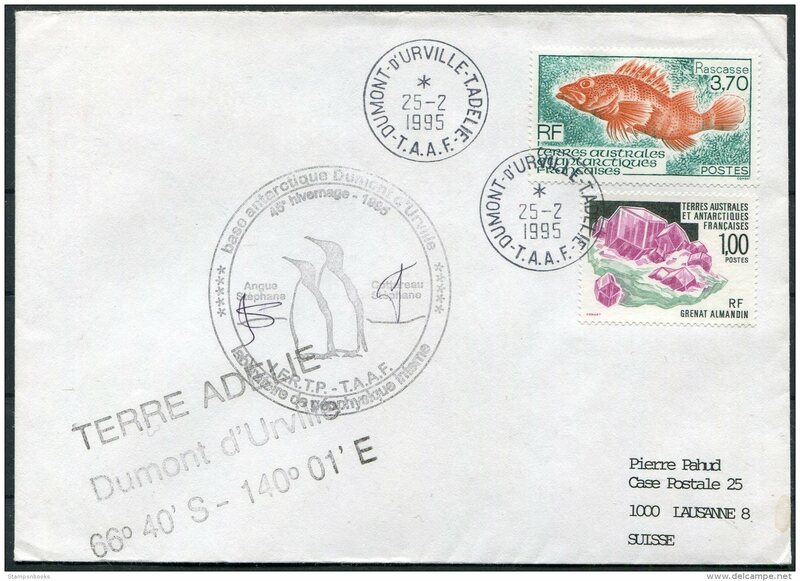 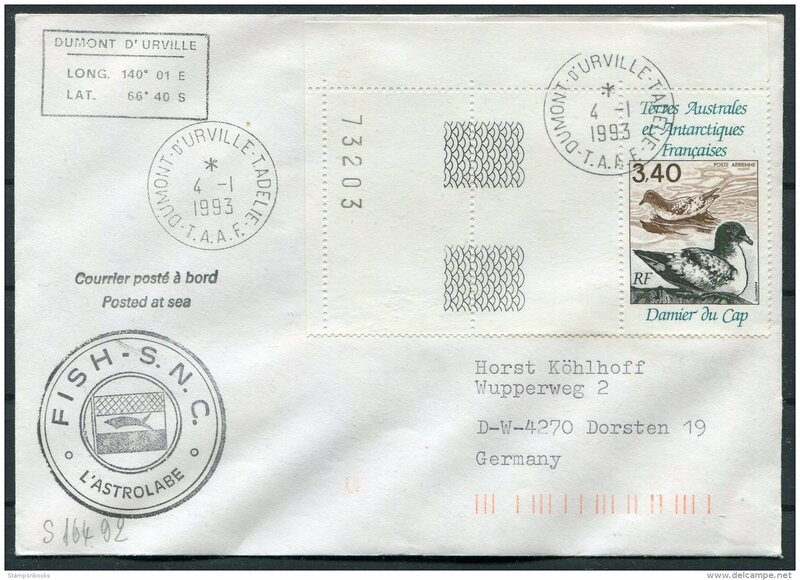 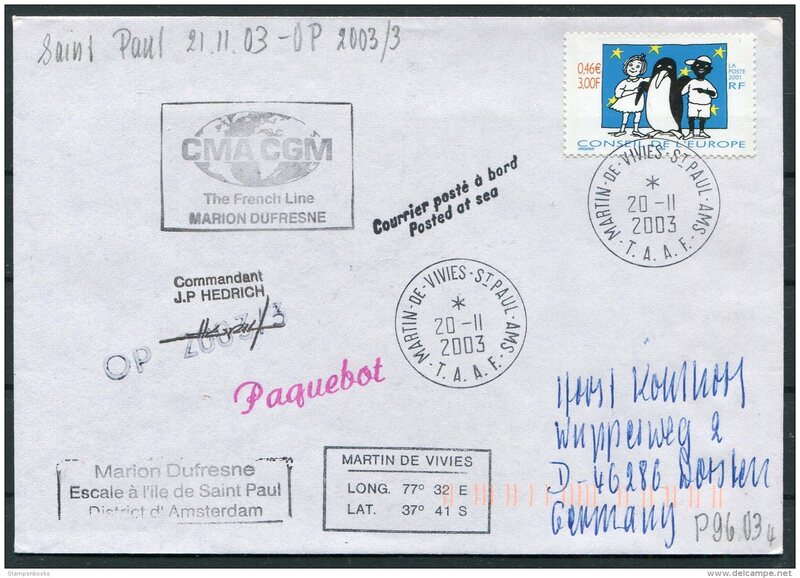 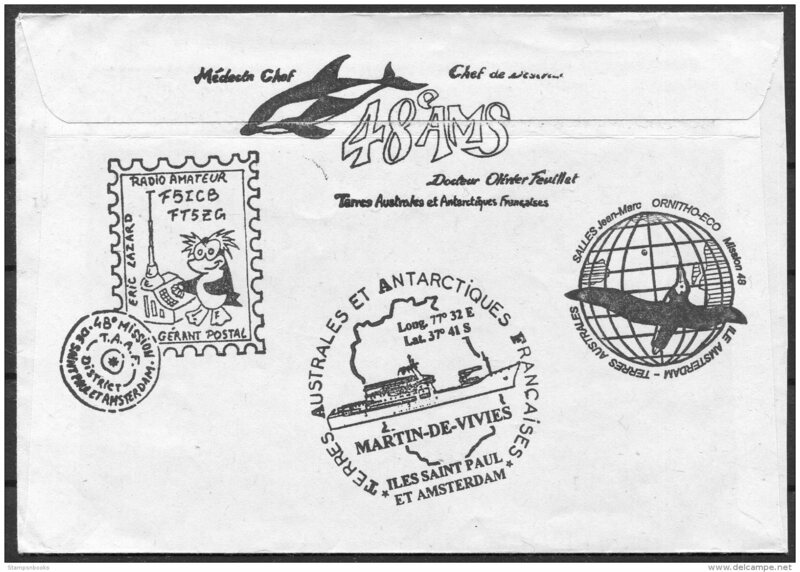 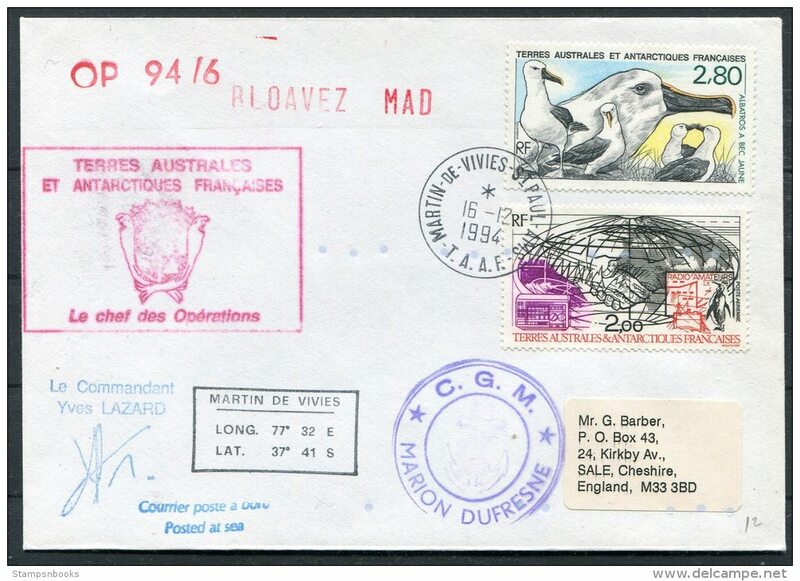 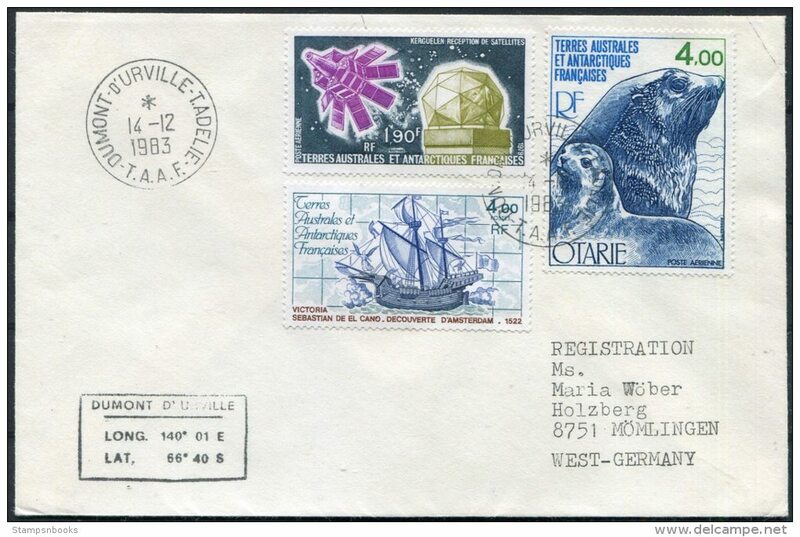 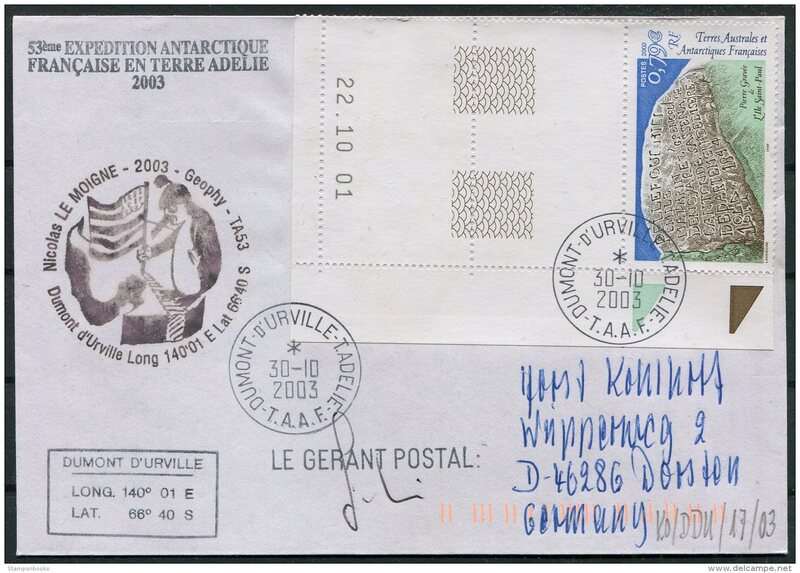 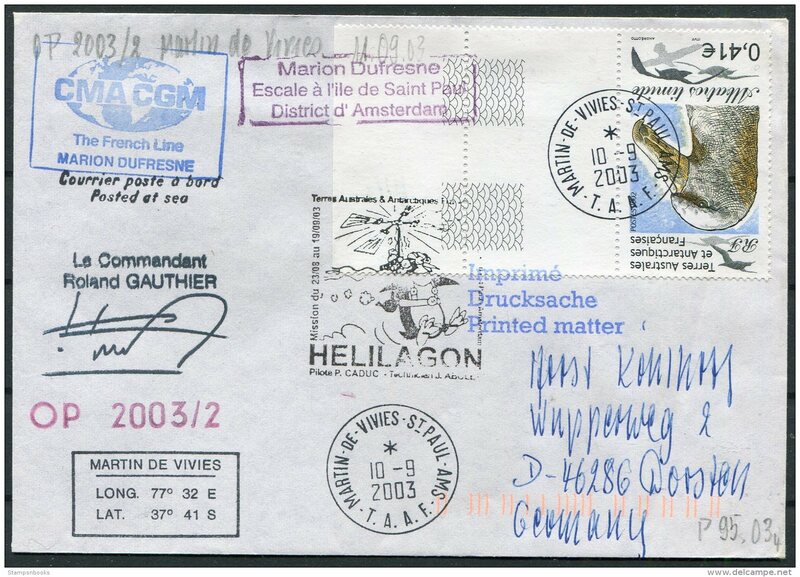 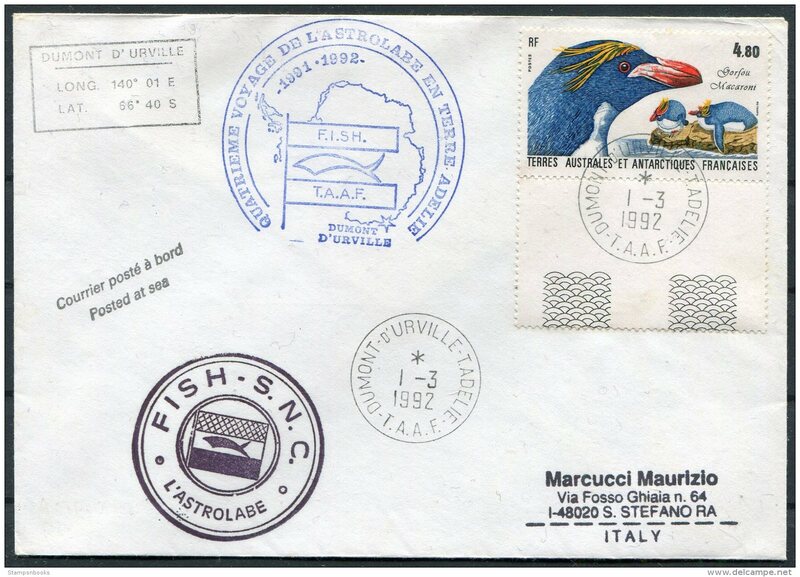 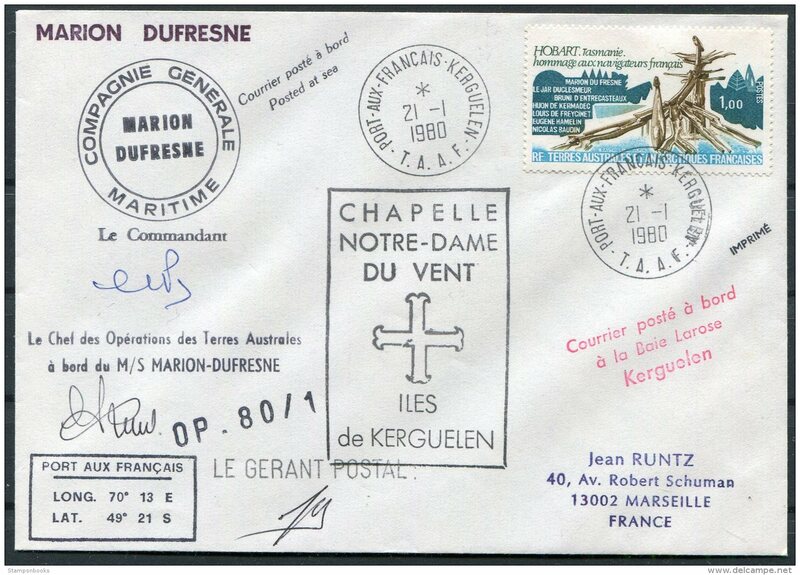 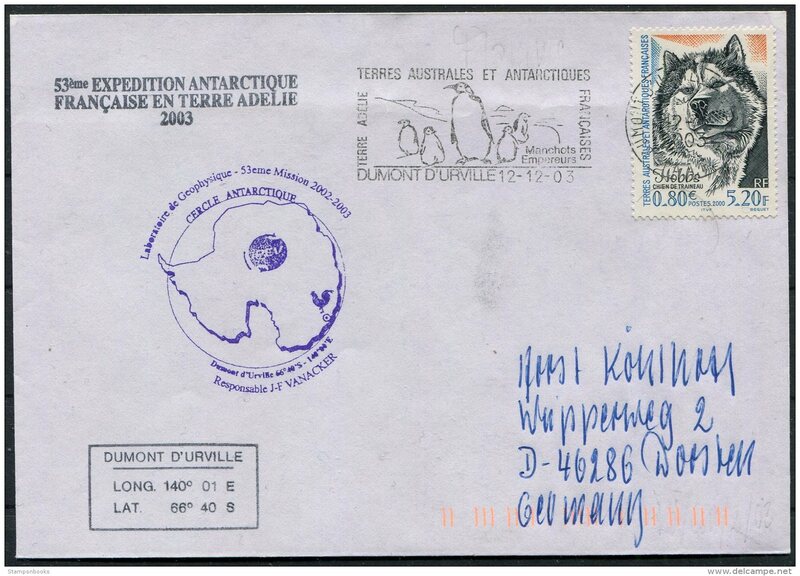 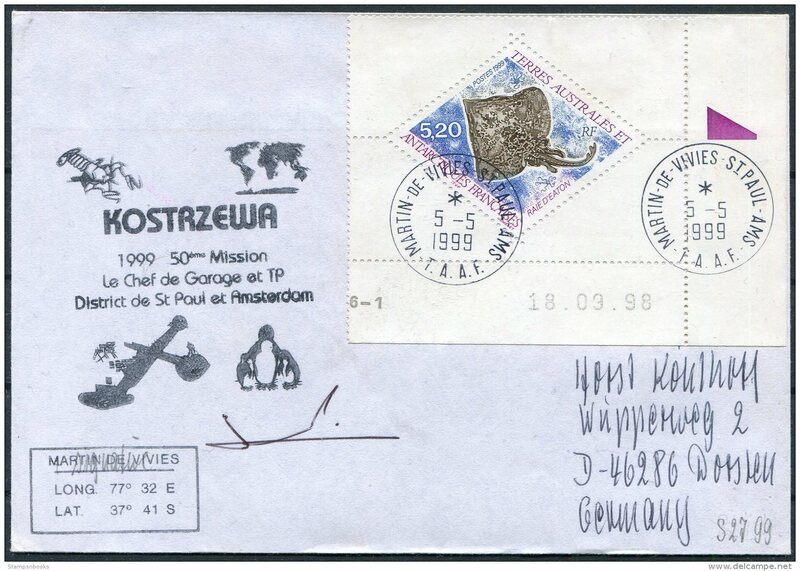 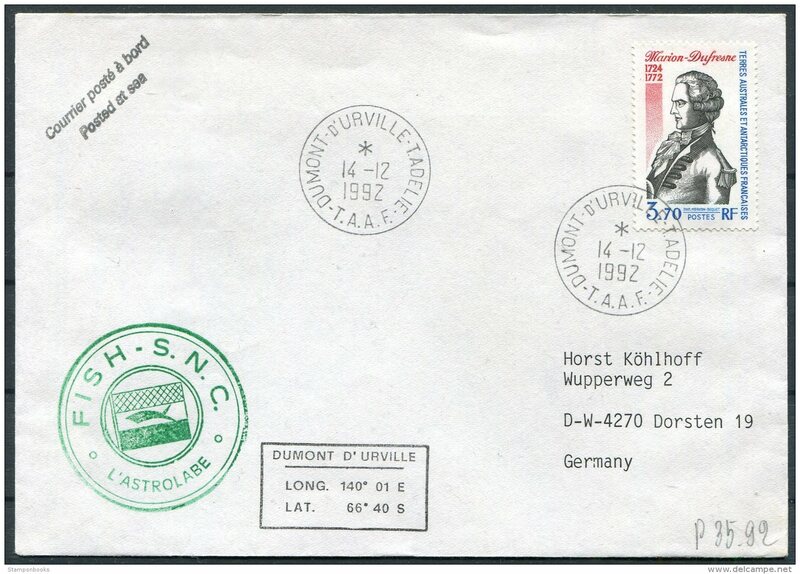 French Antarctic Antarctica Polar, Martin De Vivies, St Paul AMS cover. 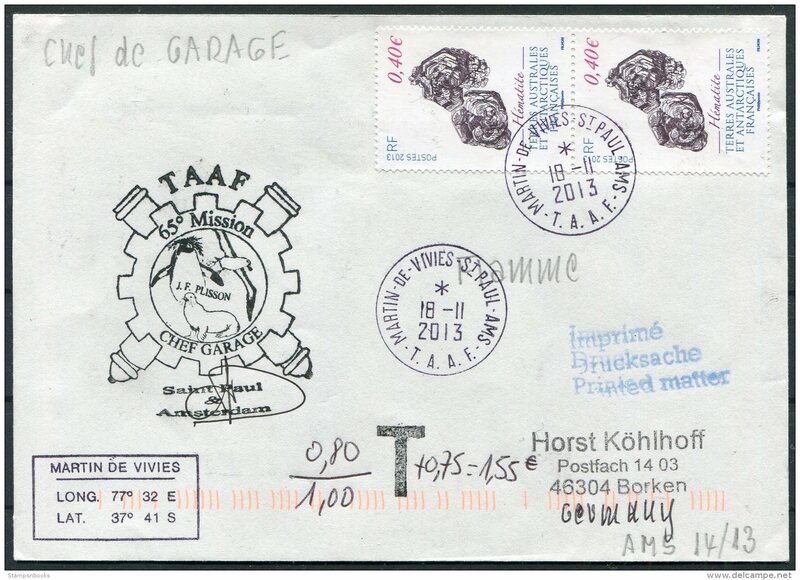 1995 T.A.A.F. 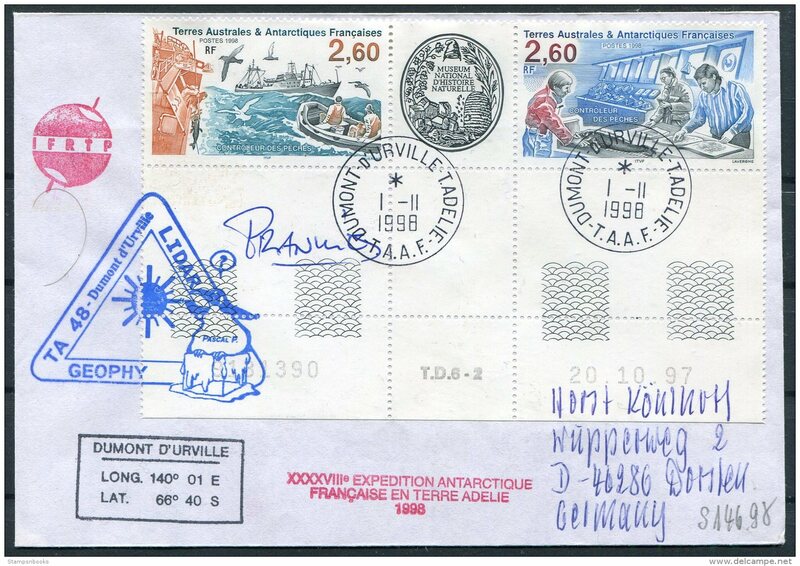 French Antarctic Antarctica Polar, Martin De Vivies, St Paul AMS cover. 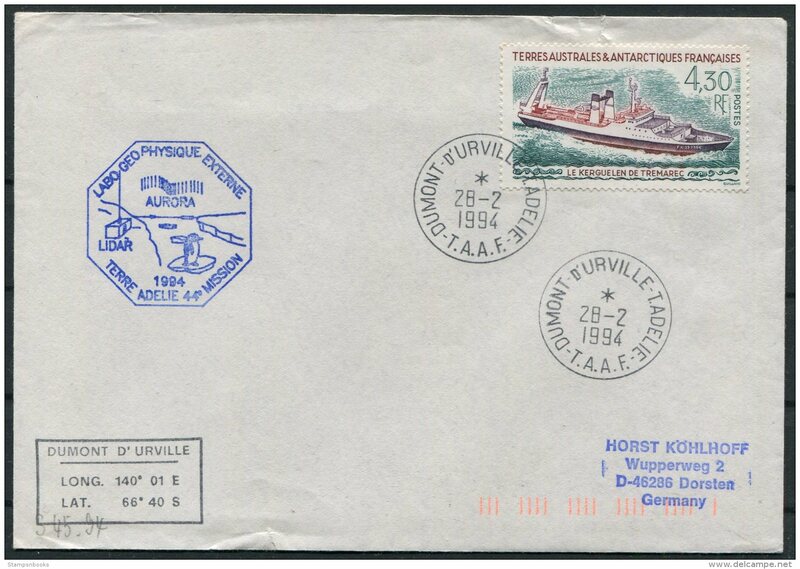 1993 T.A.A.F. 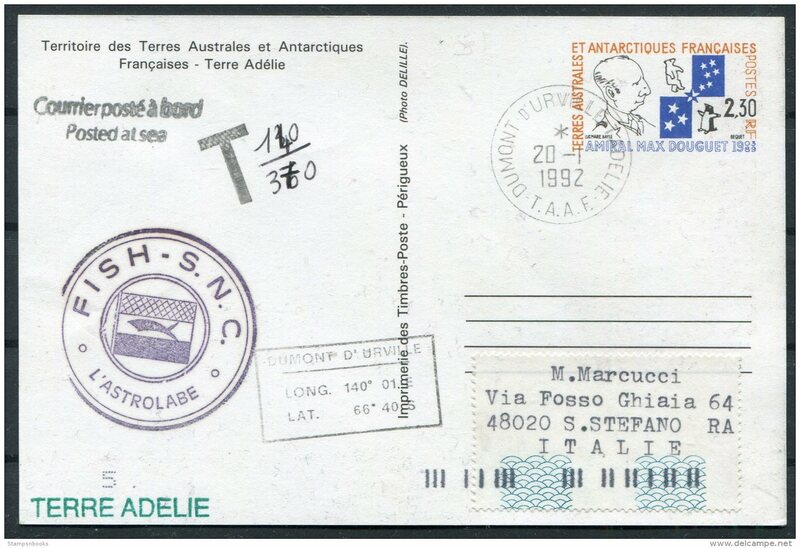 French Antarctic Antarctica Polar, Martin De Vivies, St Paul AMS cover.